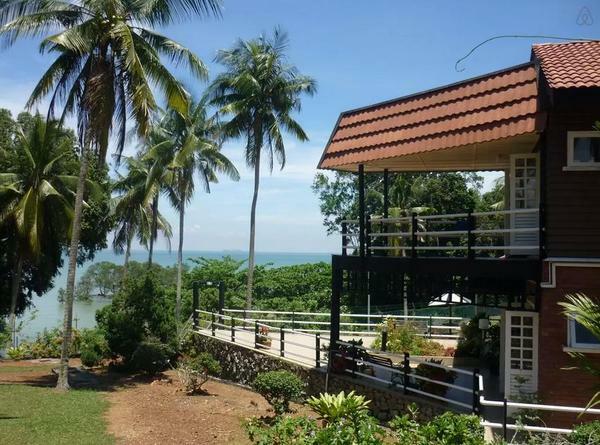 Located in Batu Ferringhi, right in front of Pasar Malam, Silver House Boutique Villa has 6 units with private bedrooms with sea views. Free Wi-Fi is accessible in public areas. 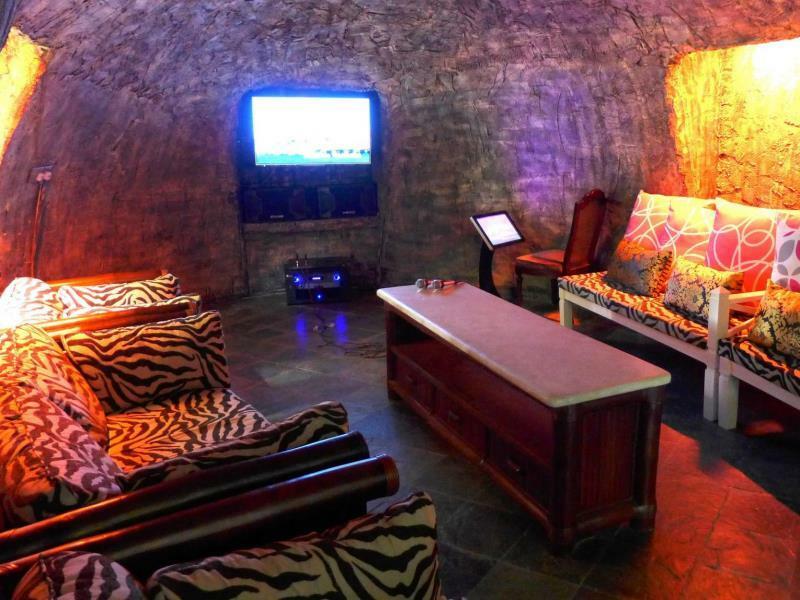 This luxury villa offers air conditioning, hot showers and flat-screen TV. It has a living room and dining area and a kitchenette with a refrigerator and an electric kettle. 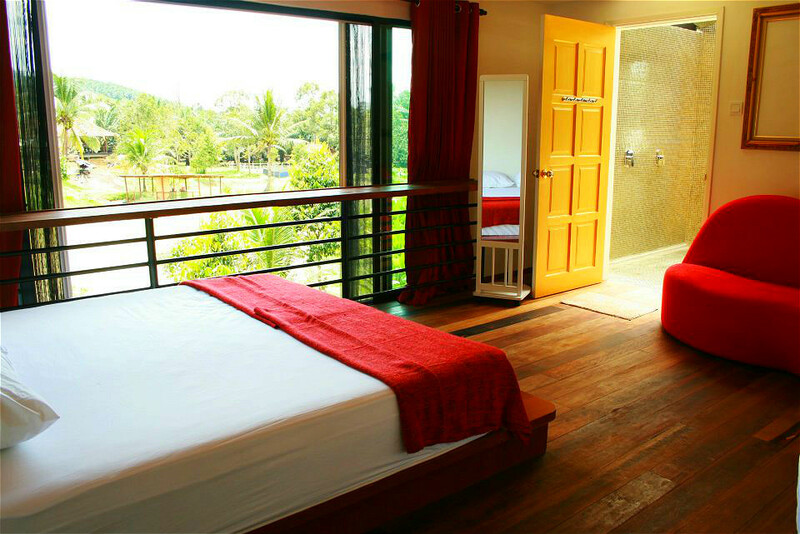 Rooms come with either shared or private balcony. Owned by a lady named Michelle, this luxury villa include 4 levels suitable for the whole family. 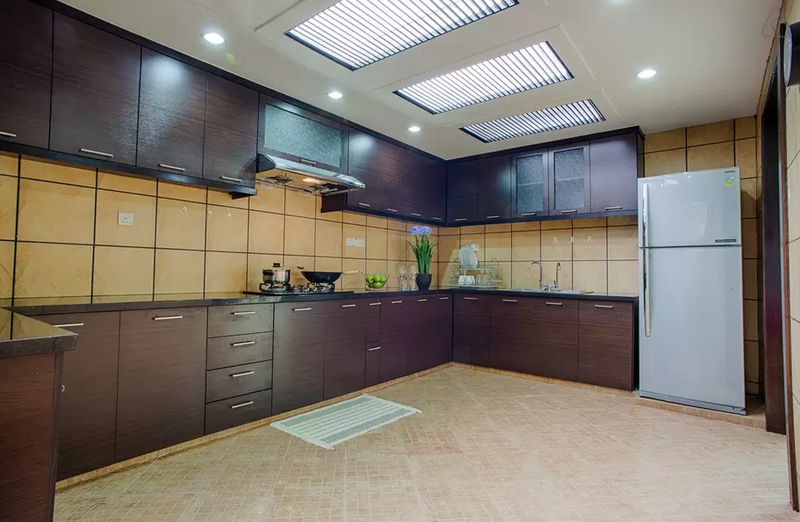 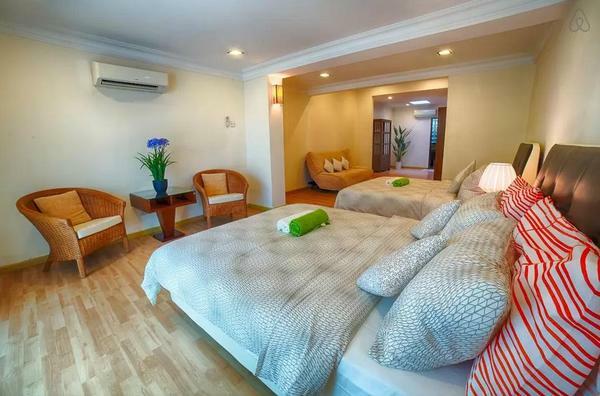 It also features 3 bedrooms with a unique theme, living room, dining room and kitchen with full equipment, balcony, game room, mahjong room, and private pool. 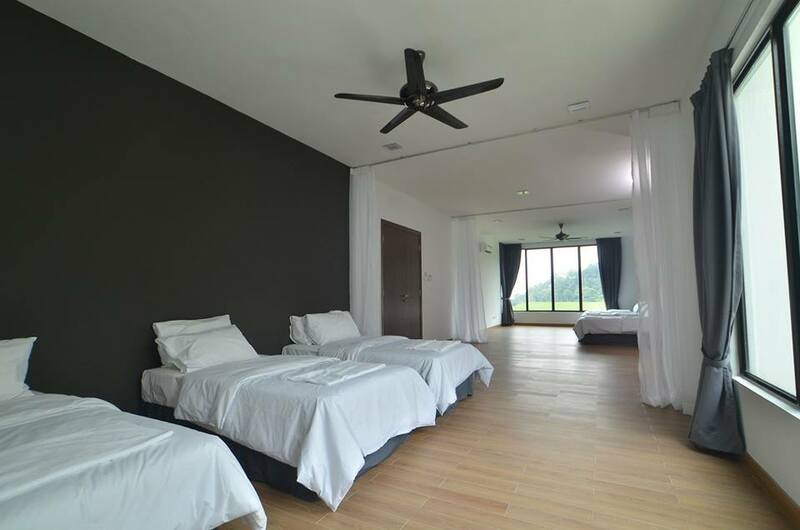 Semi-D Comfyhome is a kind of semi-detached houses are very spacious and comfortable for guests who secured crave a lodge in Penang. 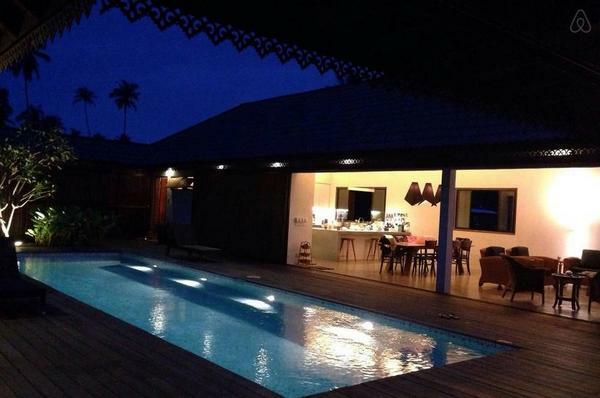 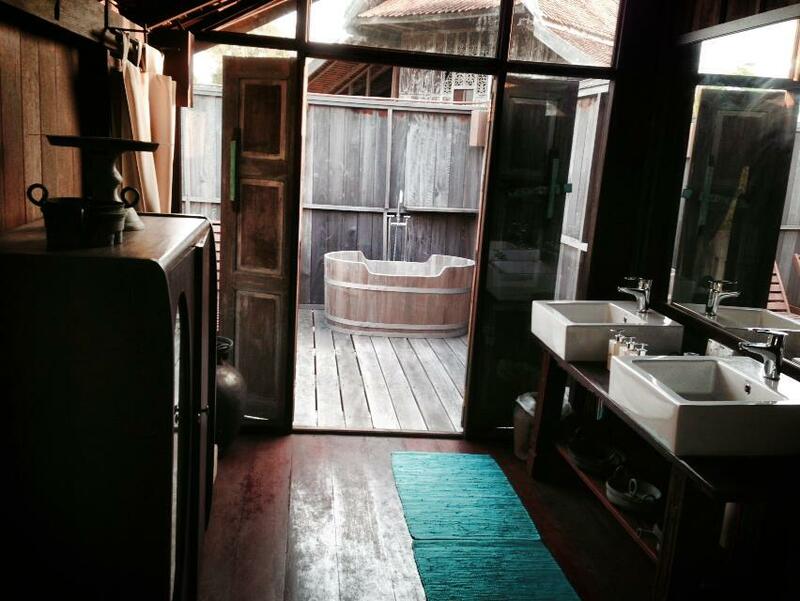 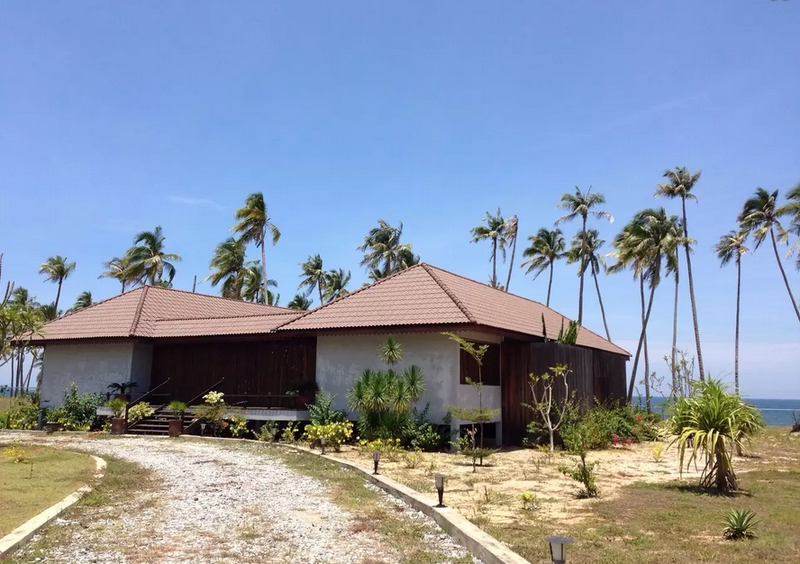 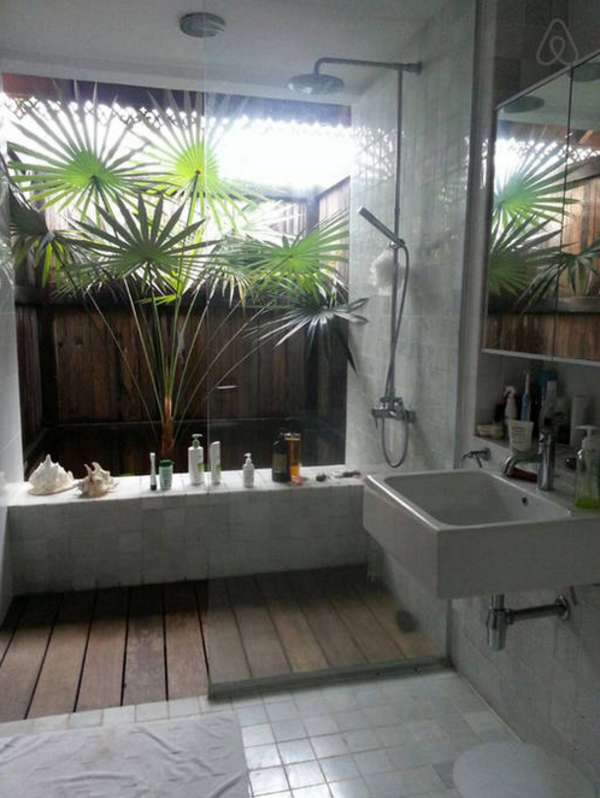 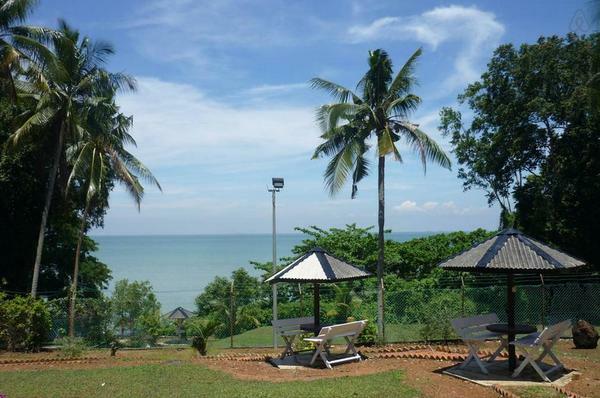 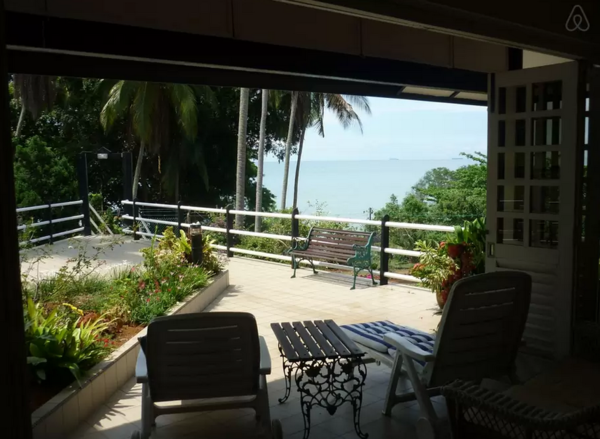 Located in Tanjung Bungah, this house is only 5 minutes walk to one of the famous beaches in the area. 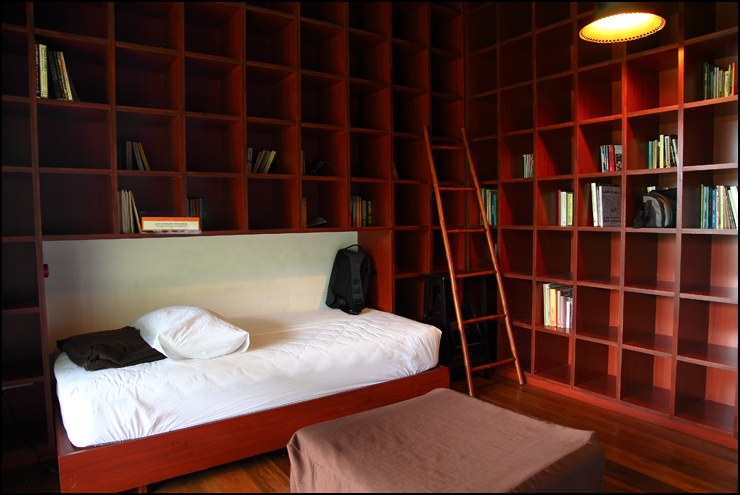 This home also offers Wi-Fi in all rooms and throughout the region to ensure the best comfort. 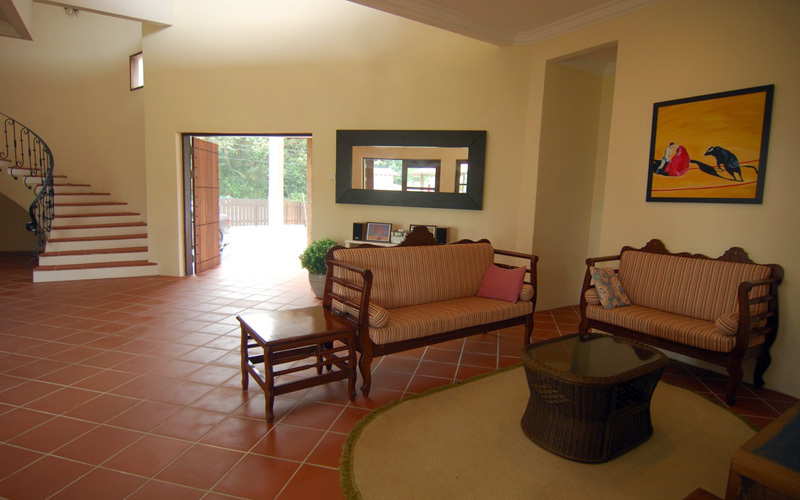 Limastiga offers smart, comfortable life combines modern architecture with the style of the village. 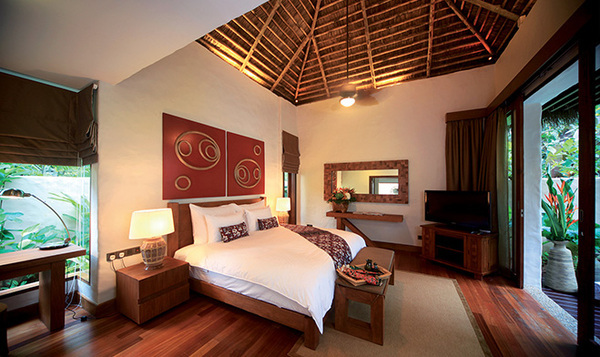 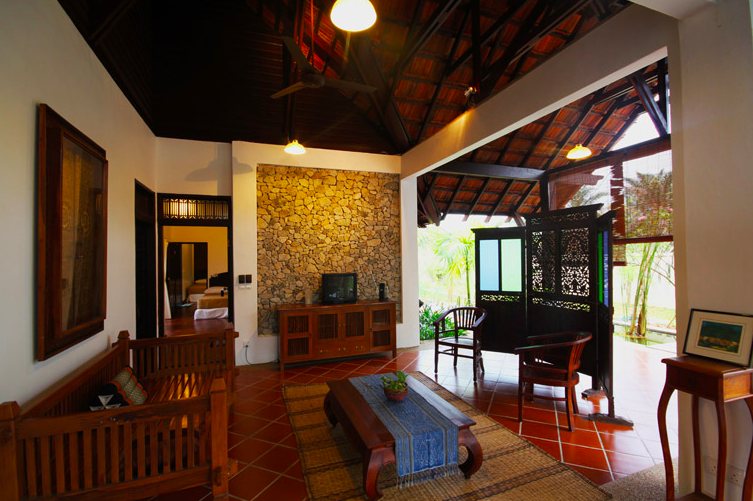 It has six spacious family rooms, located in three villas with magnificent views of the surroundings. 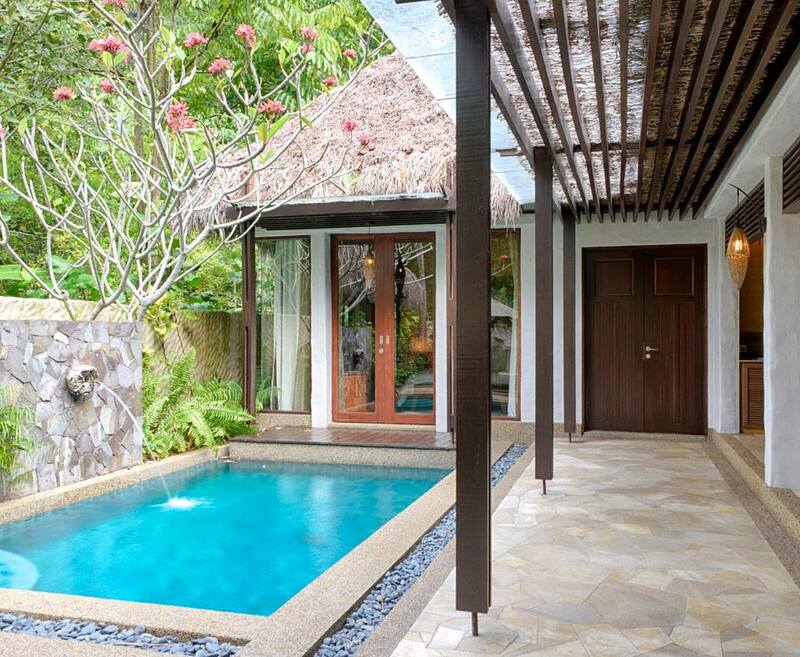 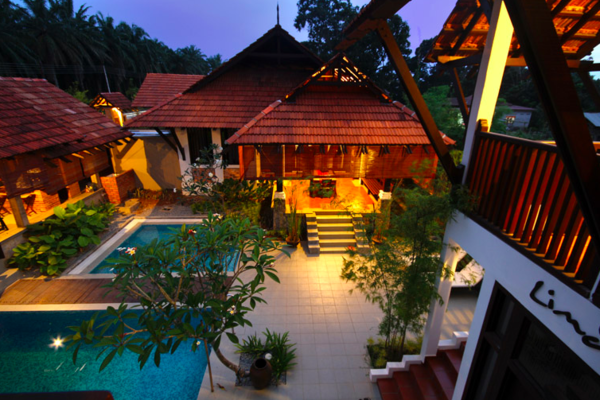 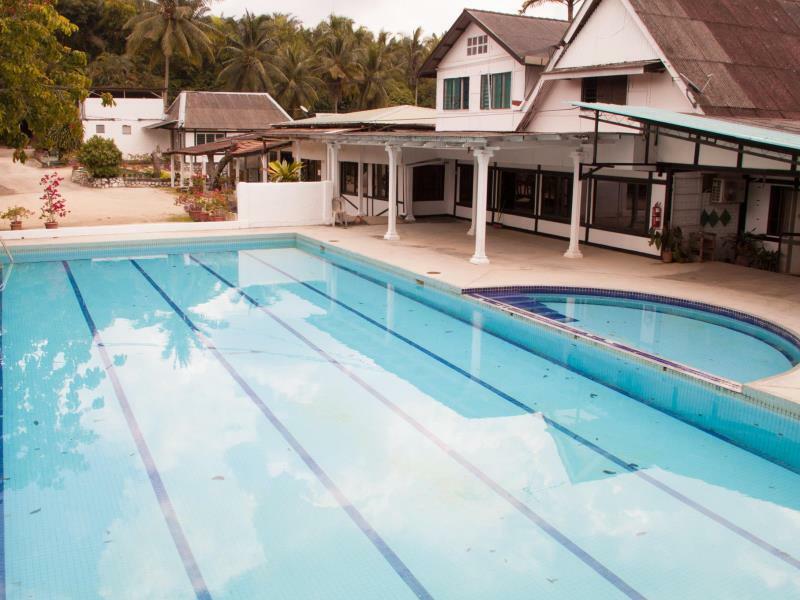 A large swimming pool is located in the heart of the bungalow full of greenery. 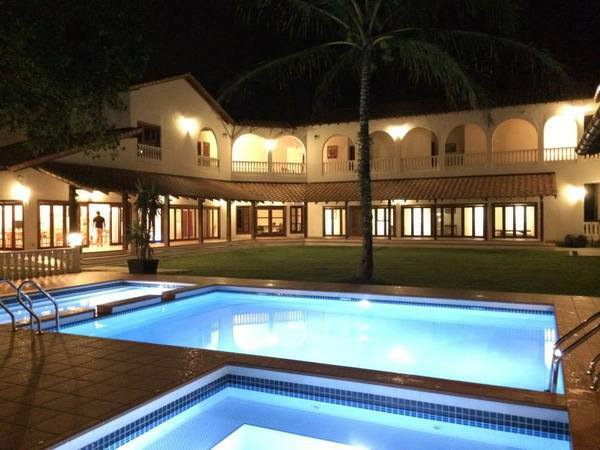 Equipped with the best facilities and easy access to interesting places nearby, Limastiga is a must-visit vacation villa to experience unique and unforgettable. 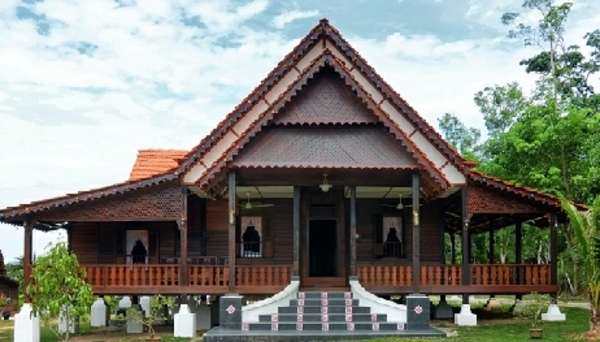 Desa Balqis featuring unique contemporary design of wooden houses were designed based on the inspiration of traditional Malay houses. 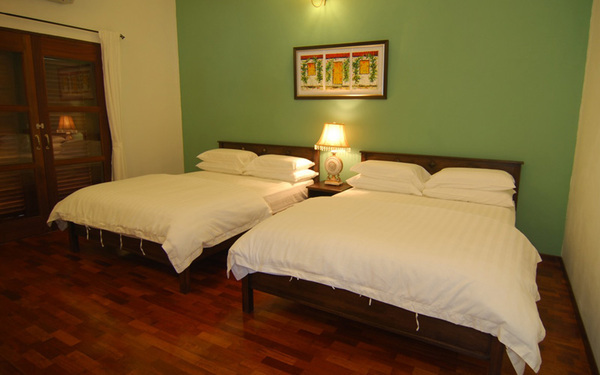 It is suitable for different significantly of busy city life. 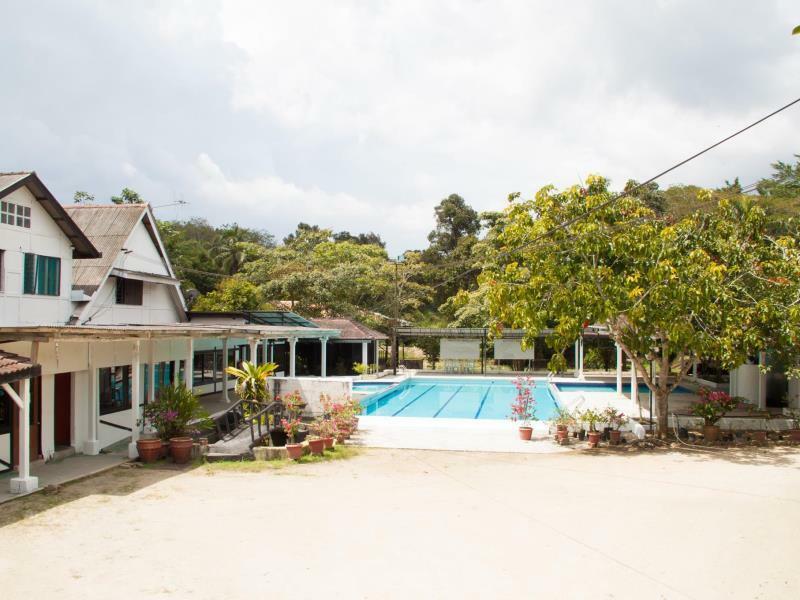 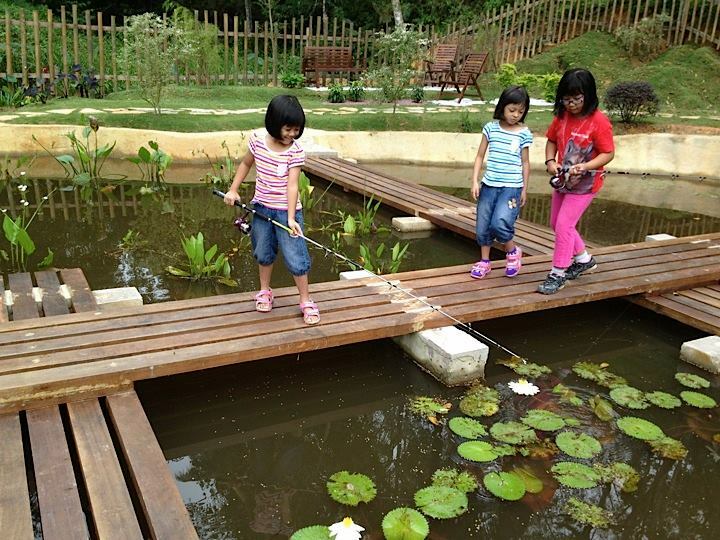 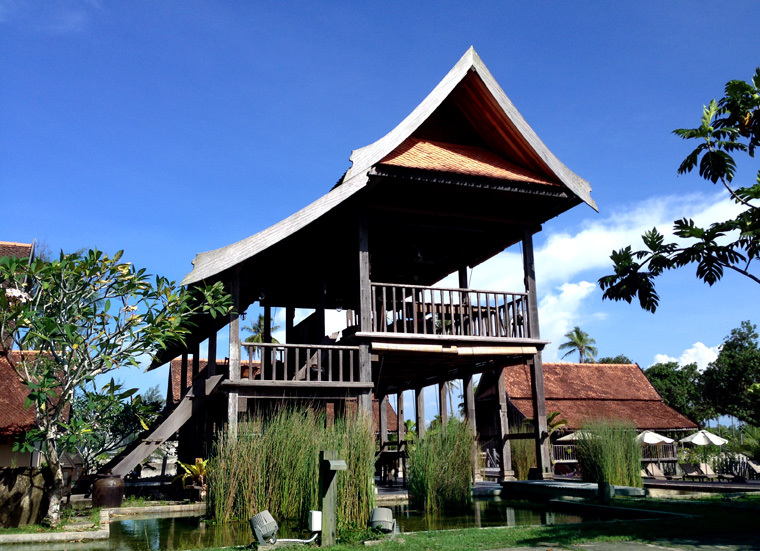 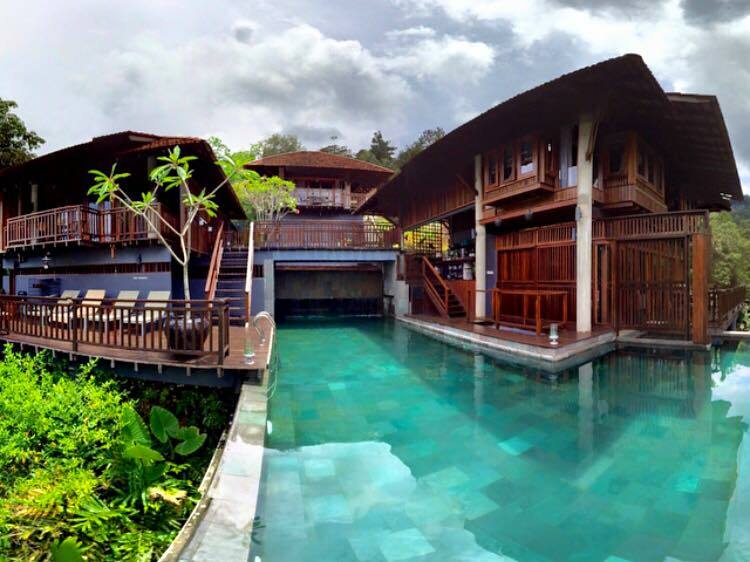 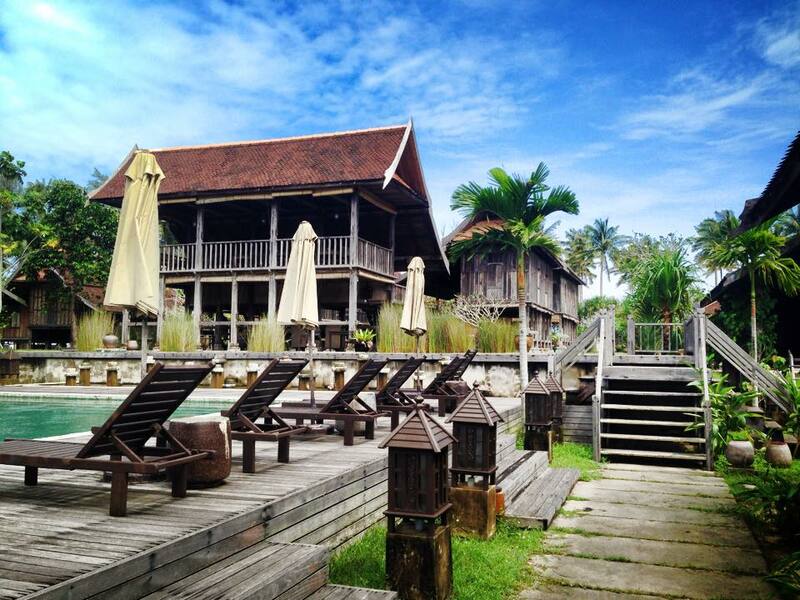 Desa Balqis is also the perfect place to host events such as team building, family days, weddings, and more. 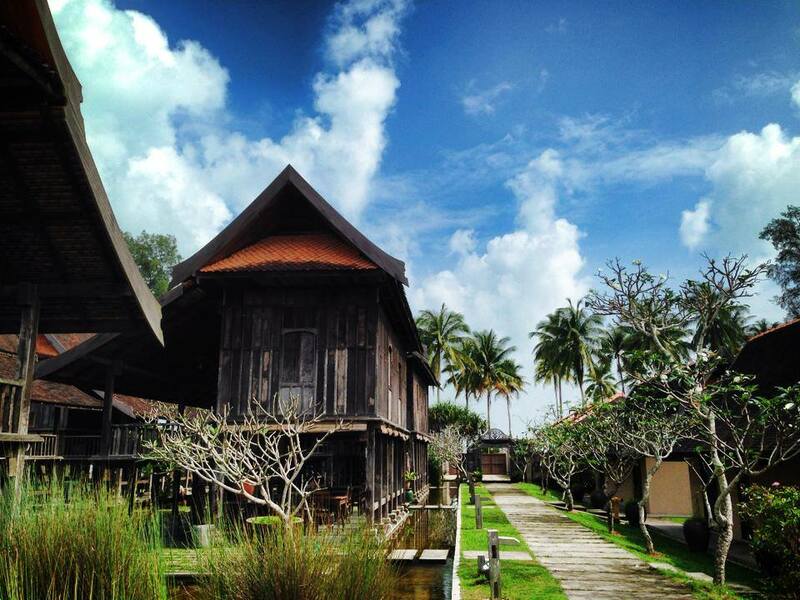 A quiet and peaceful environment really makes Desa Balqis a pearl in Kuala Linggi, Melaka. 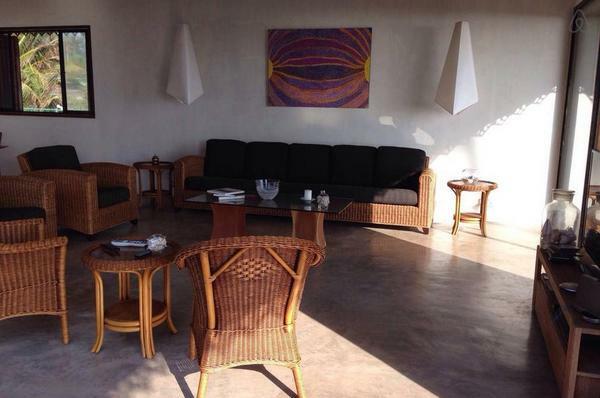 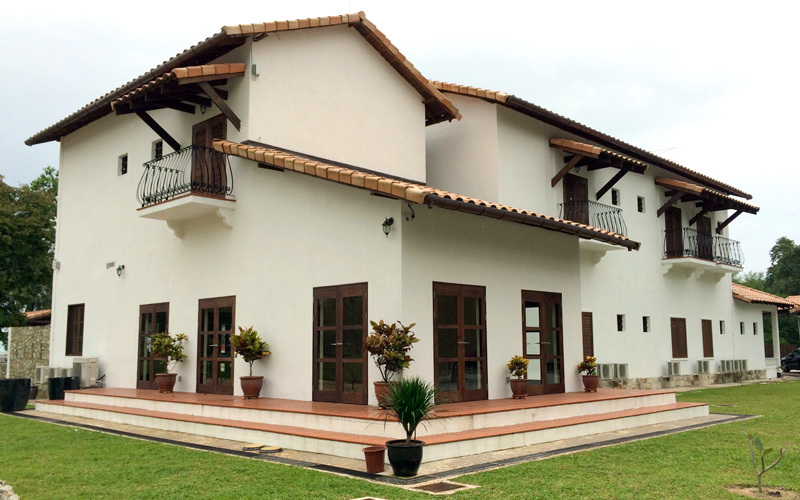 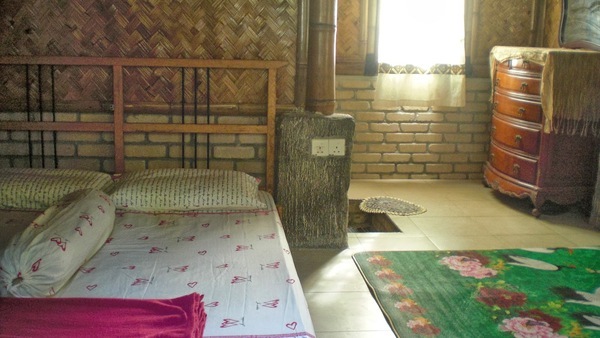 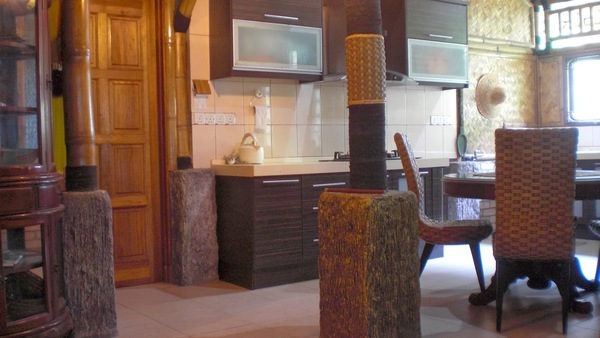 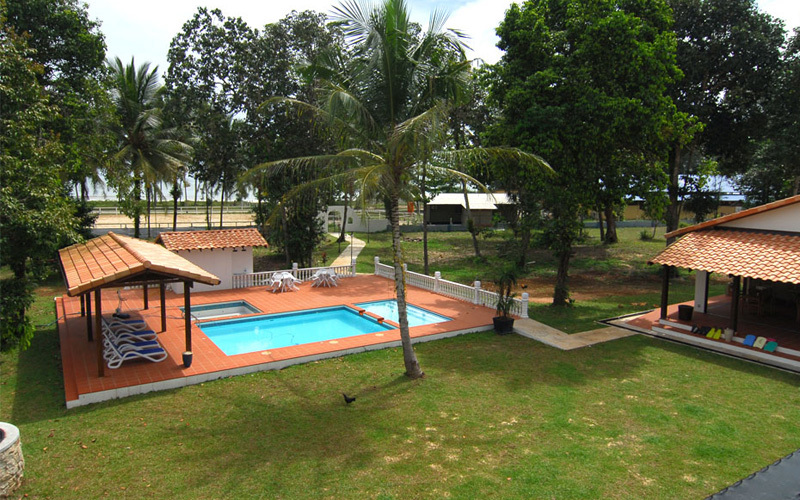 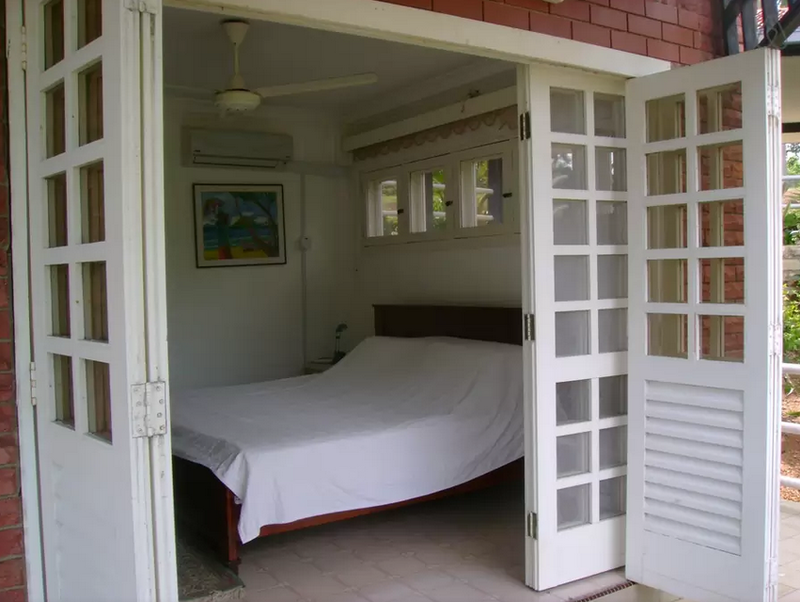 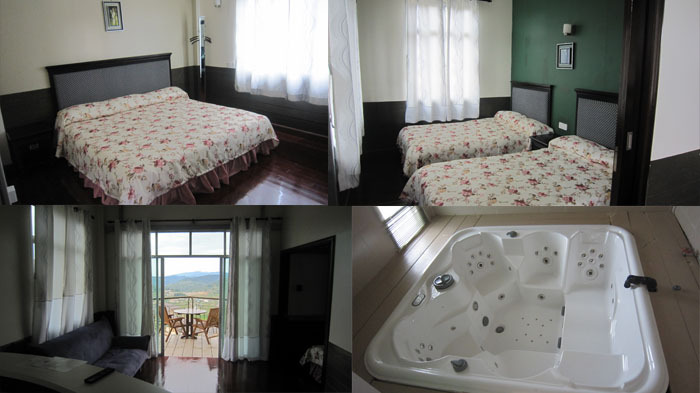 Agrofarmstay Villa offers a comfortable and exclusive to guests. 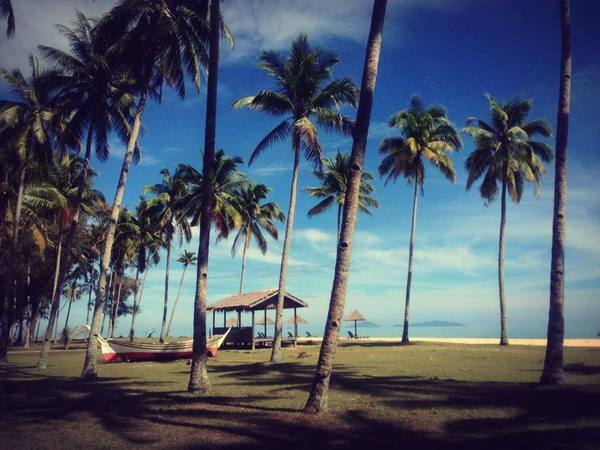 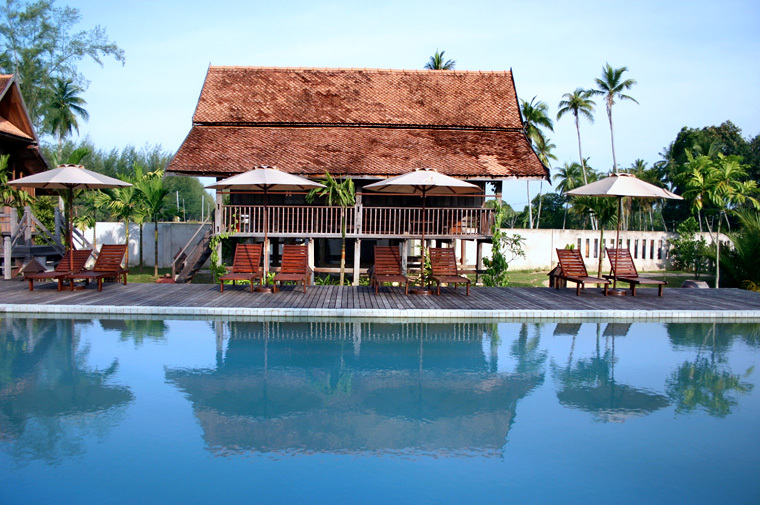 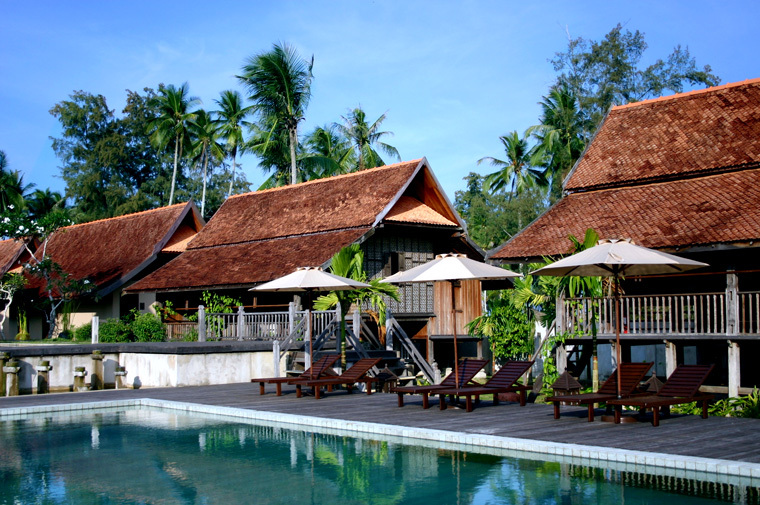 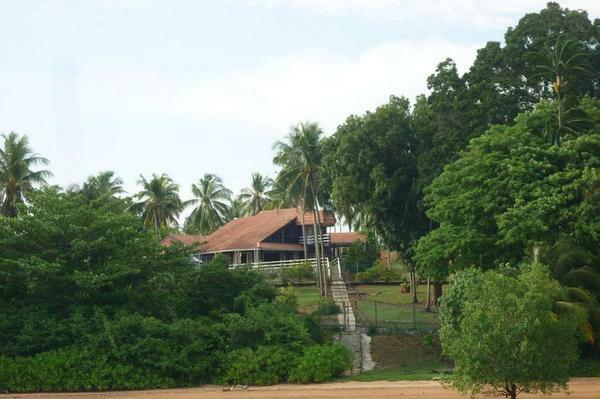 It is located on 30 acres surrounded by durian trees and coconut palms. 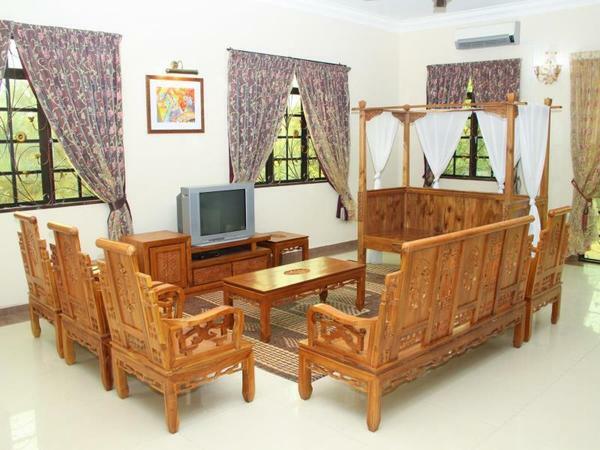 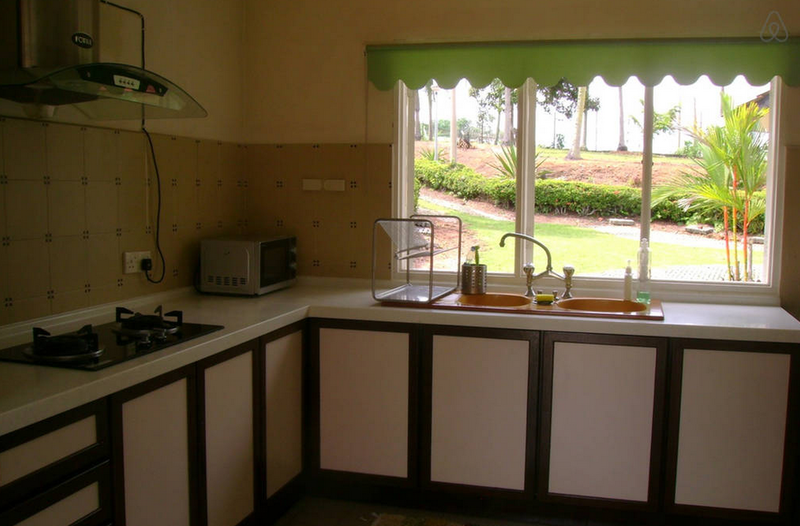 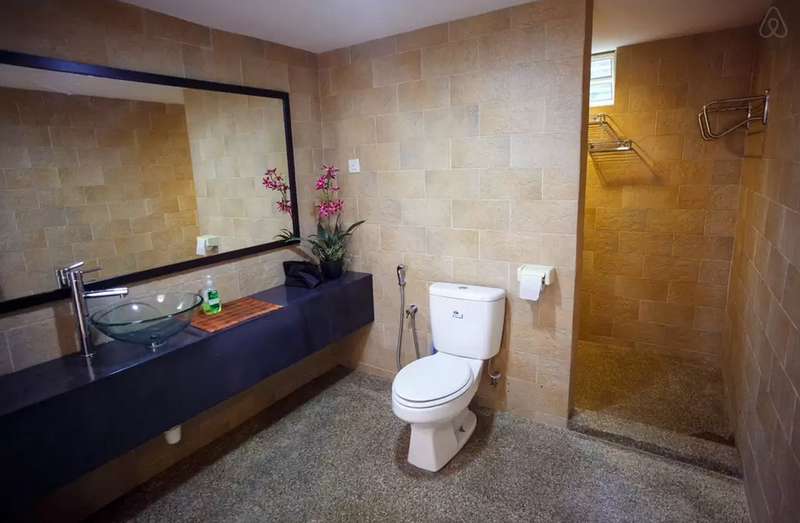 The villa is equipped with a kitchen, 2 living areas, dining room, 7 air-conditioned bedrooms with bathrooms, Astro TV, swimming pool and covered parking. 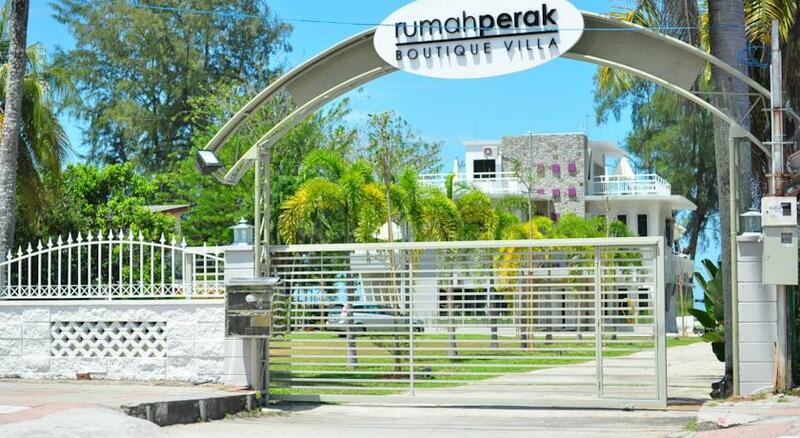 Address: Lot 453 Batu 13 Jalan Tebong / Machap 76100 Durian Tunggal, Melaka. 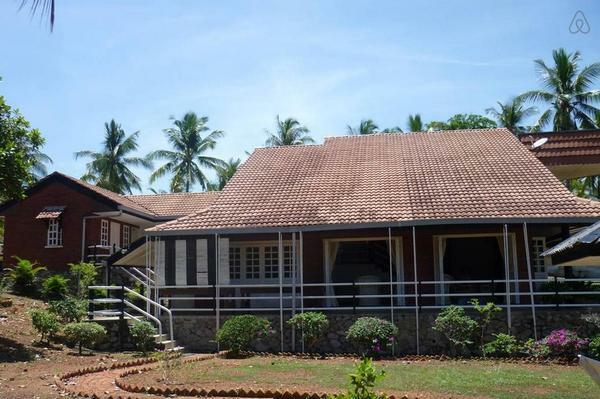 Terrapuri (The Land of Palaces) is a project for conservation and restoration of Terengganu classic Malay house. 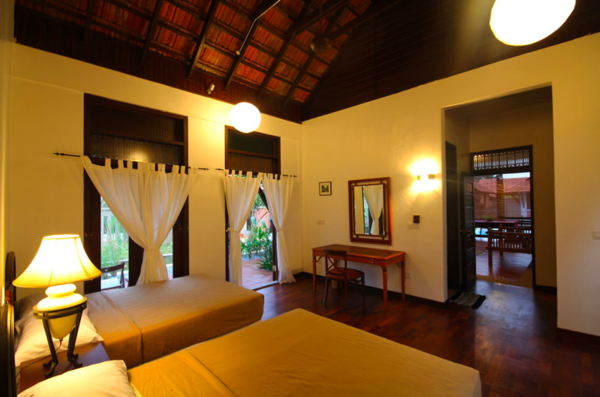 It features classic homes with classic features which have been hundreds of years old. 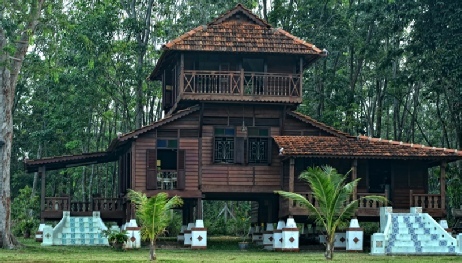 The layout and the area around the resort is inspired by the Palace of Terengganu in the 17th century. 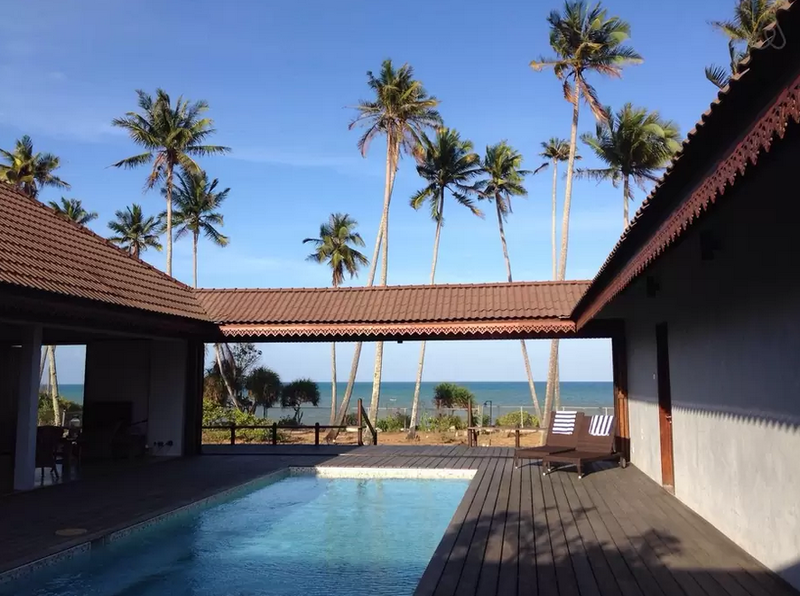 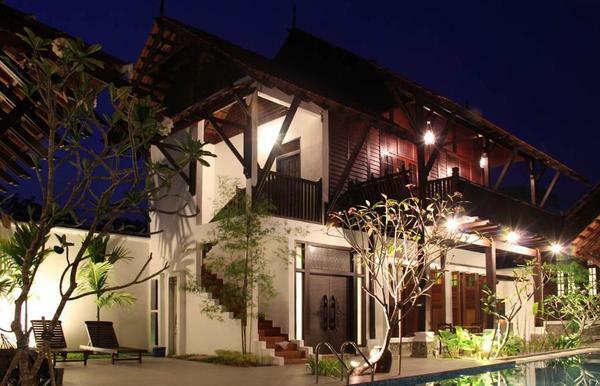 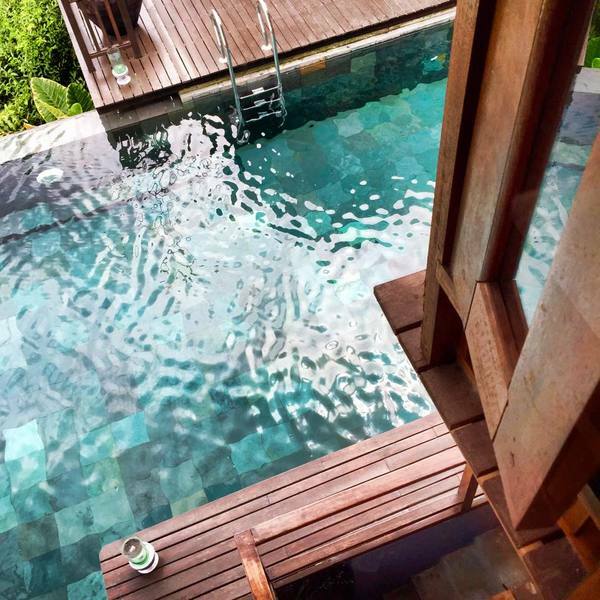 Terrapuri comprises 20 exclusive restored villas, galleries and a beach house. 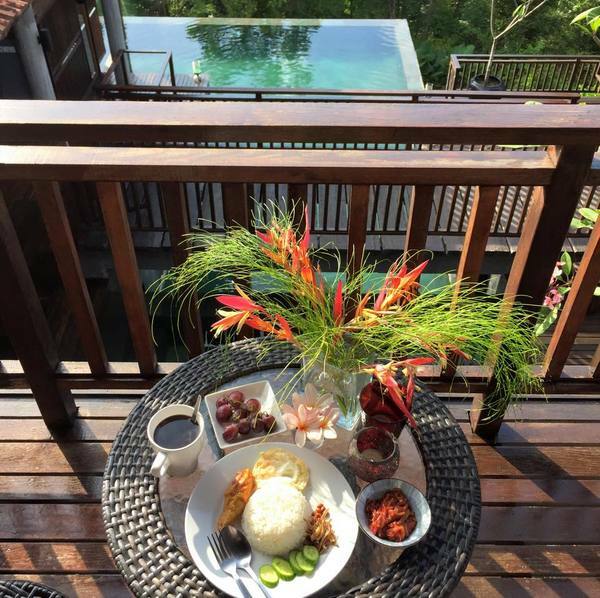 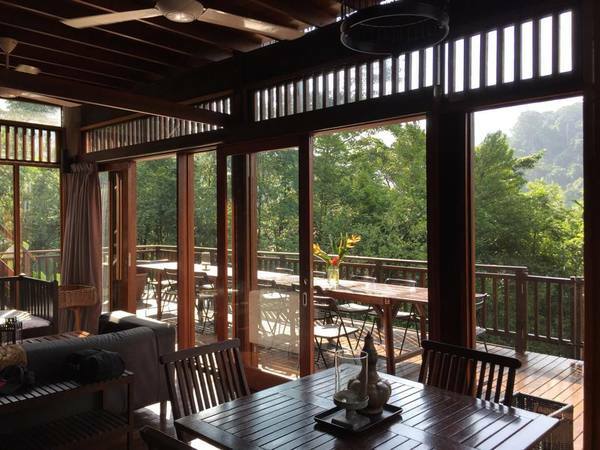 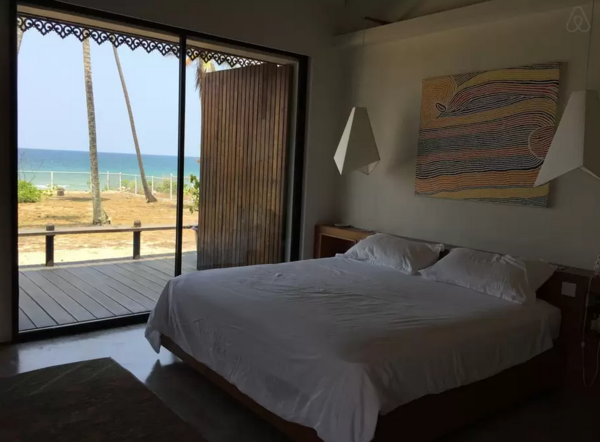 Damai is a beach house which comprises 3 air-conditioned bedrooms and a bathroom each, a private pool, fully equipped kitchen, dining table for 10 people, a spacious living room, maid's room with an attached bathroom. Just 45 minutes from Kuala Terengganu Airport. 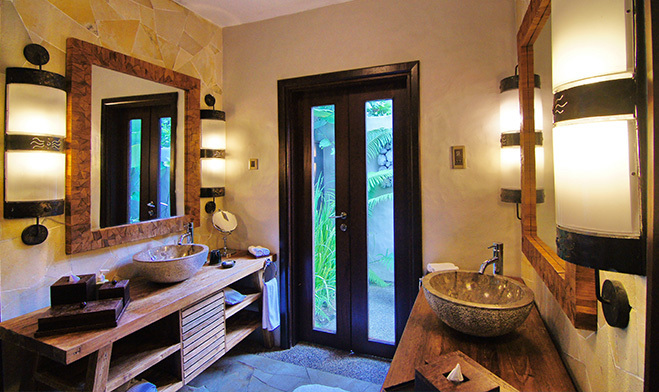 Casa Titik is a family villa designed in a simple and beautiful style with inspiration from the Spanish. 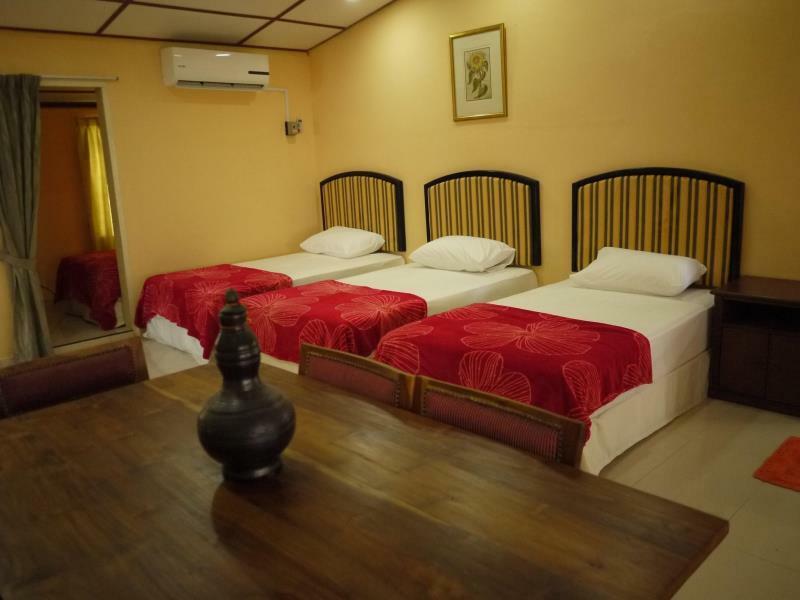 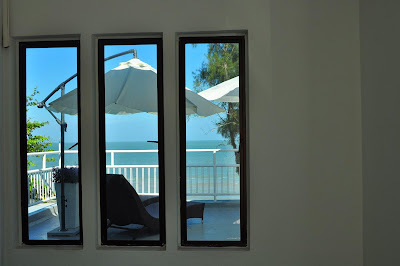 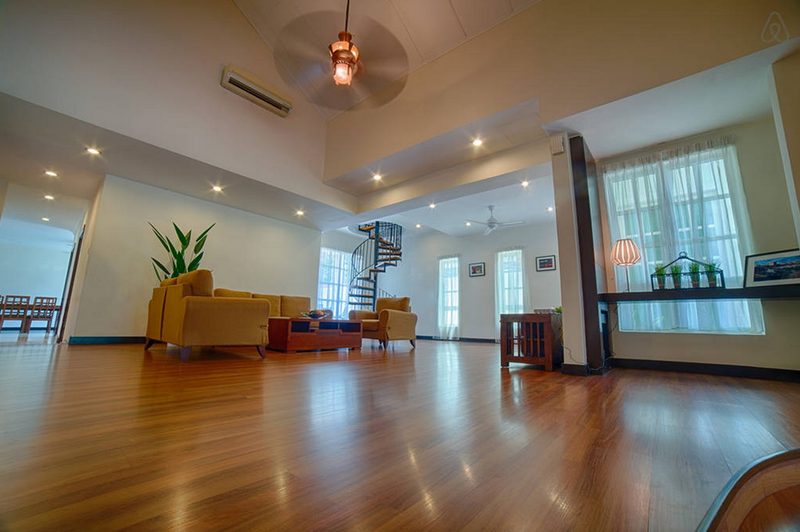 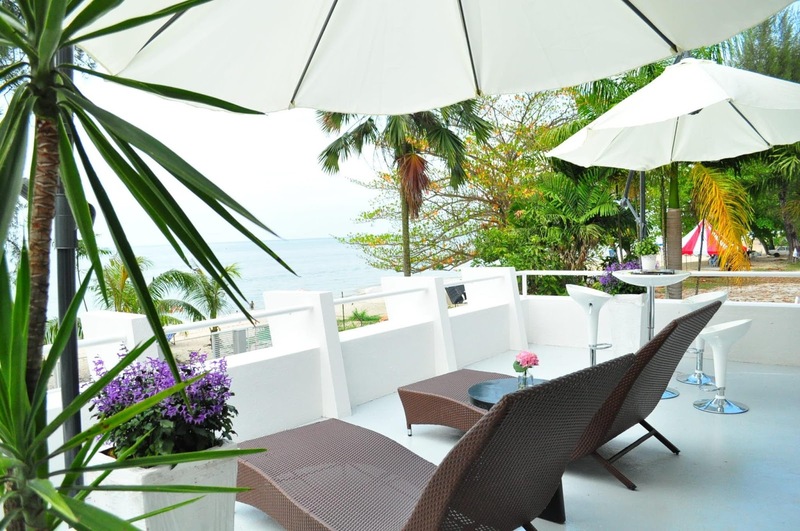 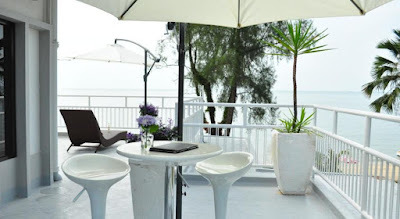 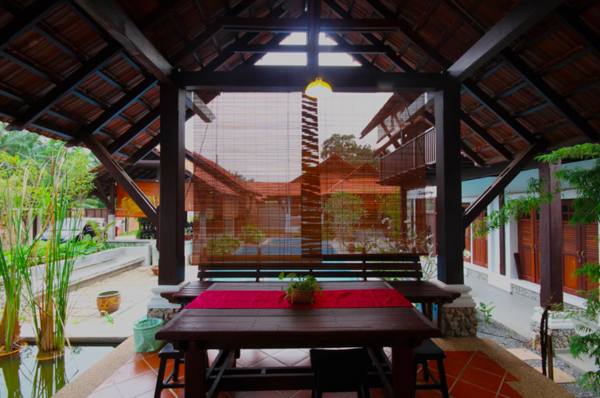 Located just steps from Cherating Beach makes Casa Titik a relaxing holiday destination for those who want to enjoy the comforts of home in a friendly atmosphere and peaceful by the sea. 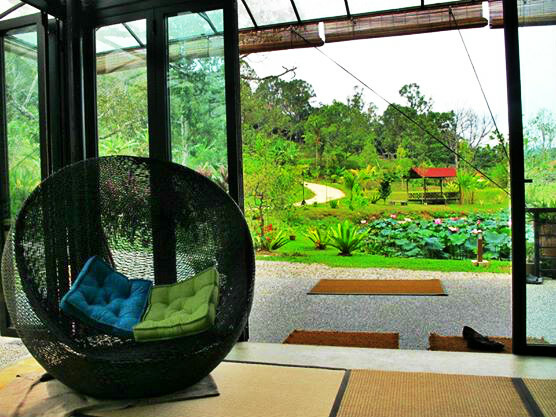 Eight Acres, a land with a tranquil environment and a nursery for a happy life, like seeing heaven in themselves. It is a place to rekindle a relationship, a place to nurture the soul, and to grow the feeling of love towards nature. 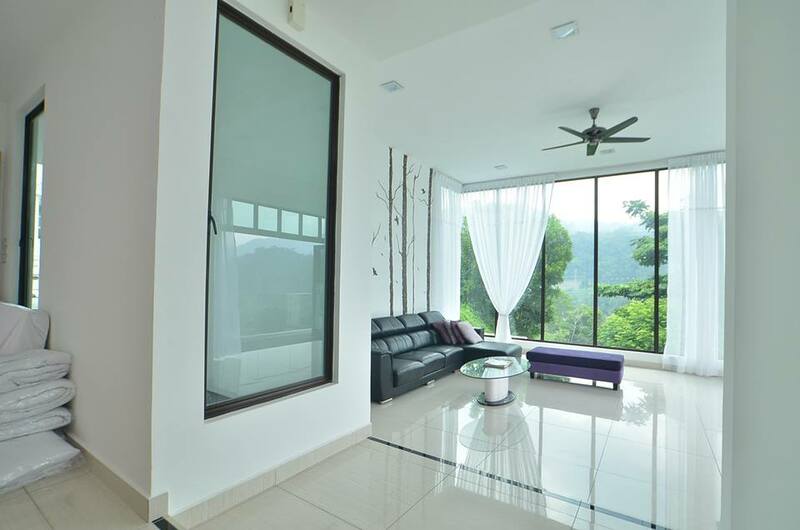 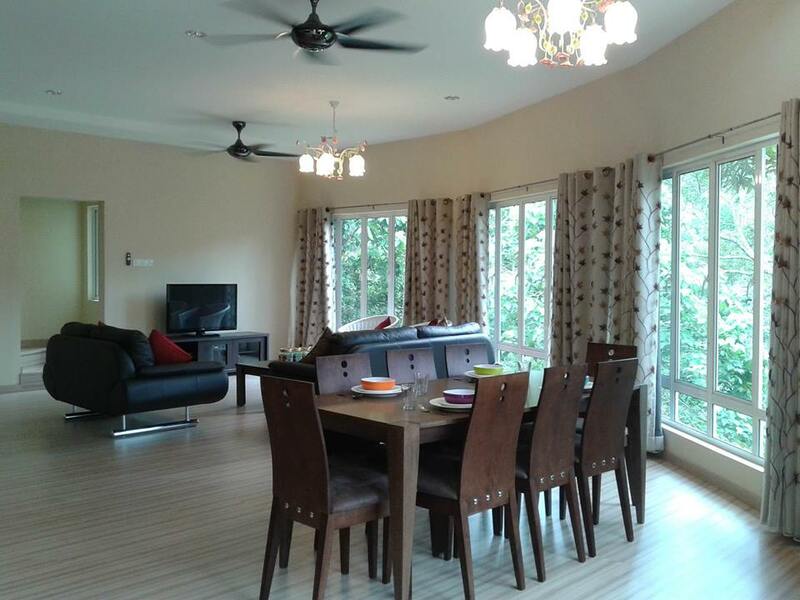 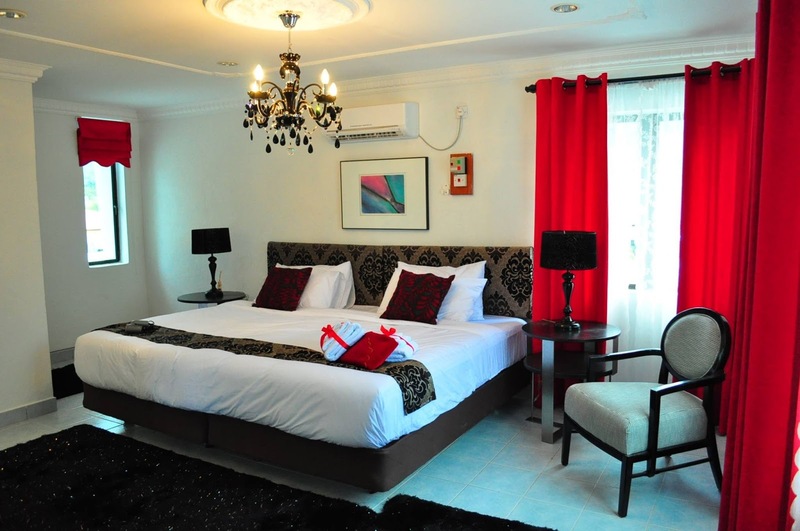 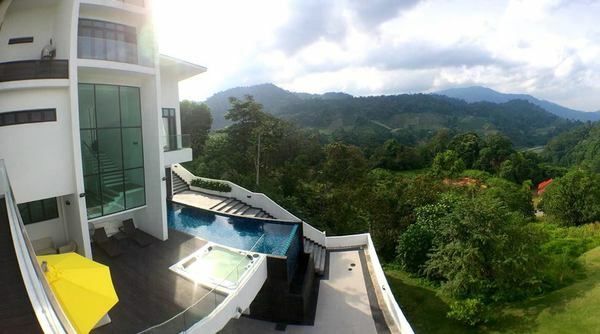 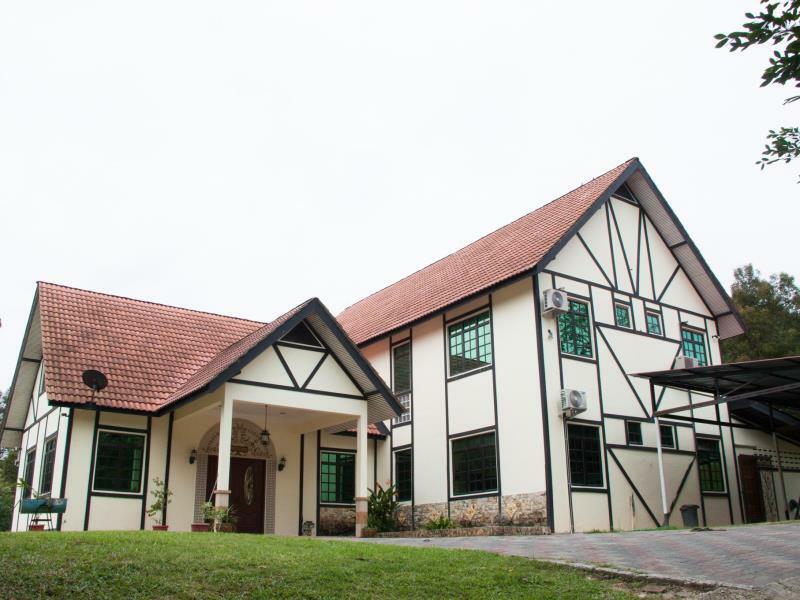 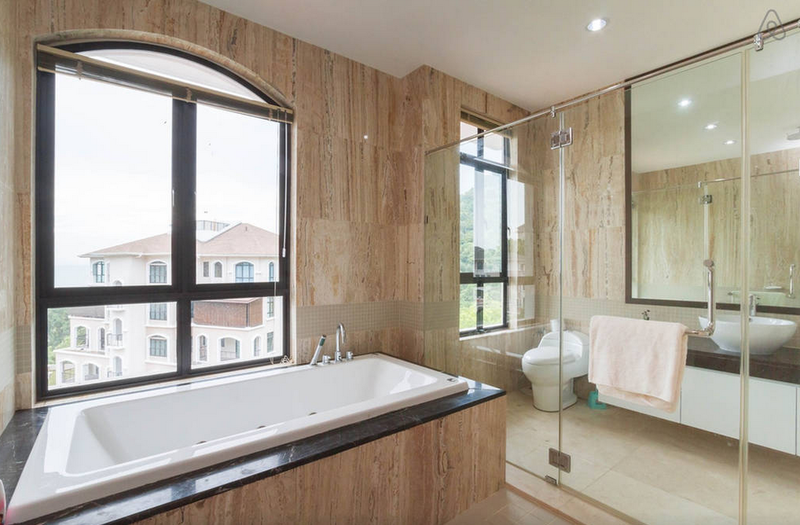 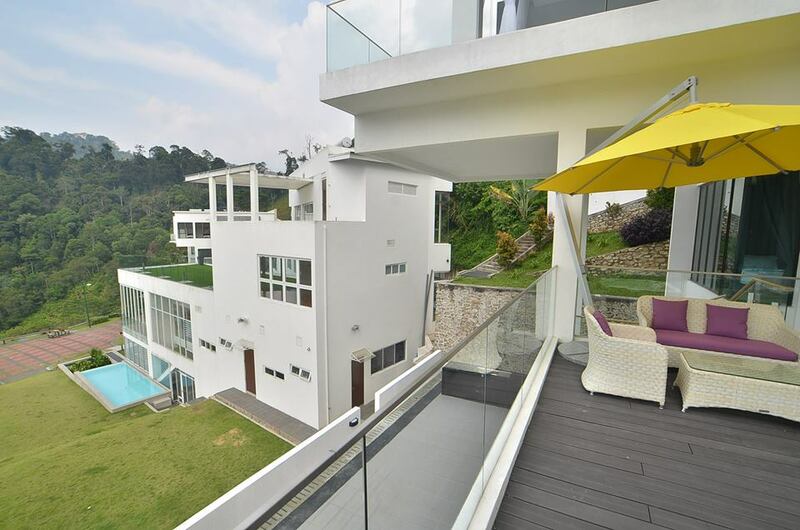 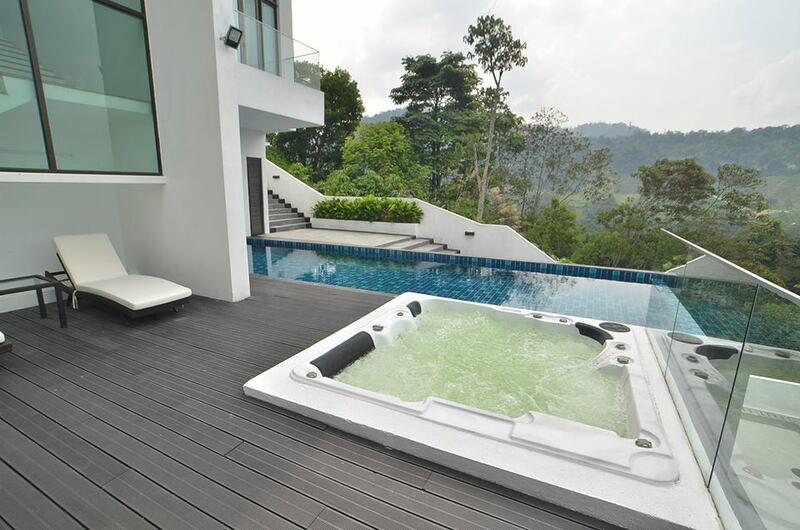 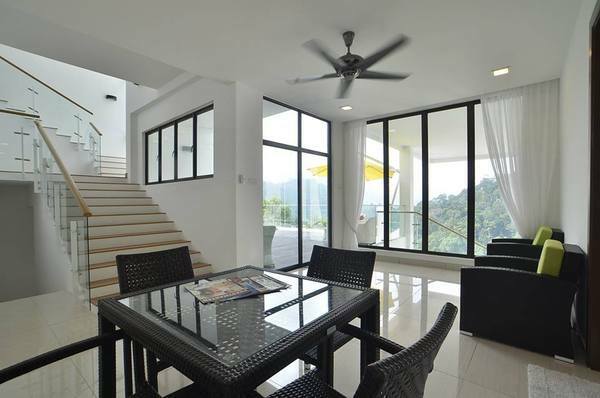 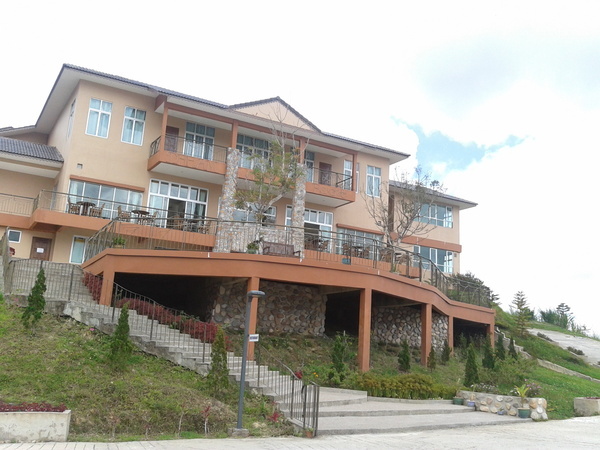 Orchard Villa is a luxury villa located in the exclusive hilltop views, in the highlands of Genting Highlands. 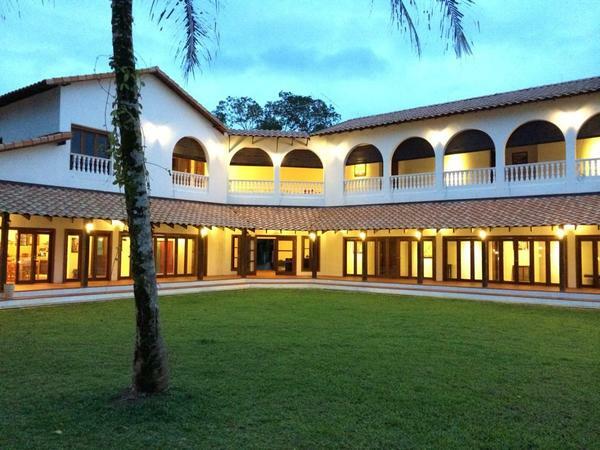 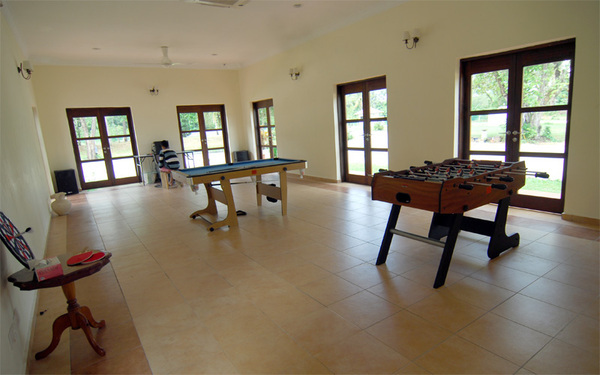 With an area of over 4 acres, the villa is equipped with parks and gardens including a playground, games archery, mini golf, fishing and paintball. Tropical Getaway at Rainforest Sanctuary is a place to enjoy the beautiful scenery and fresh air and sunshine throughout the year. 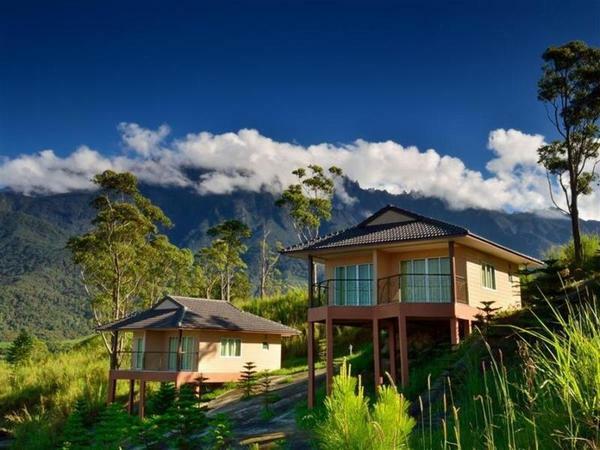 Blended with natural greenery, wild birds chirping in the morning and Genting Highlands are stunning views from the balconies, the villas are located approximately 2200 feet above sea level, this will be an unforgettable experience. 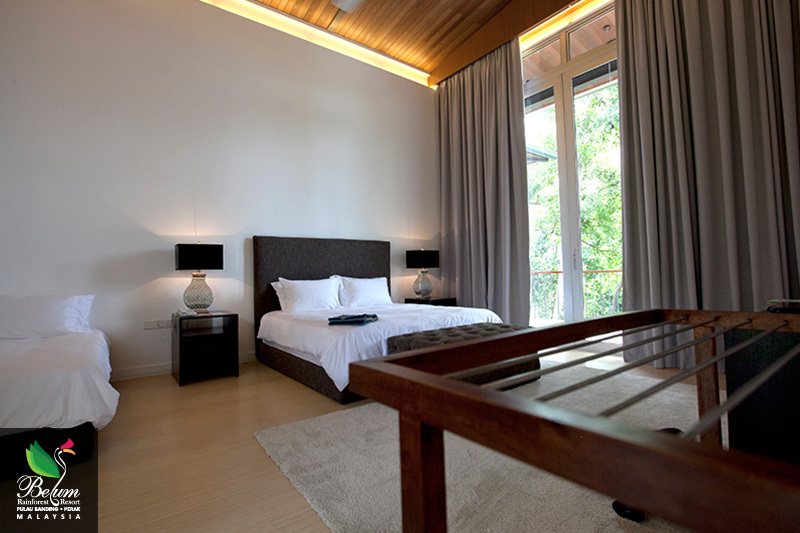 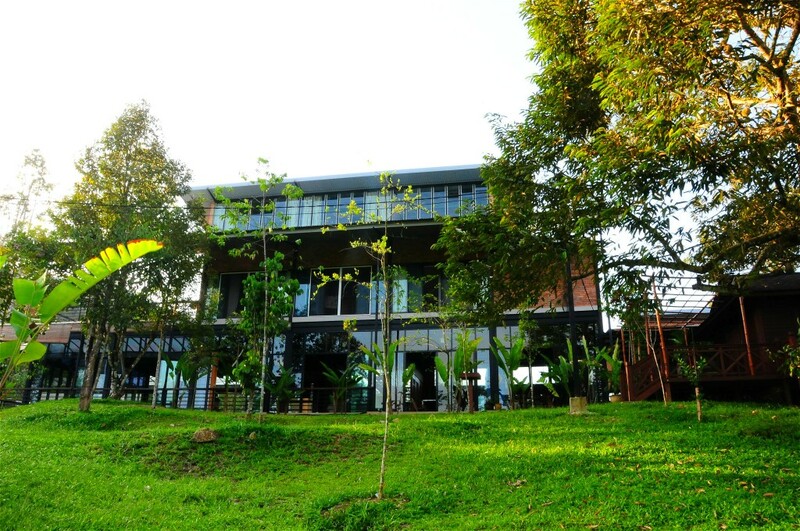 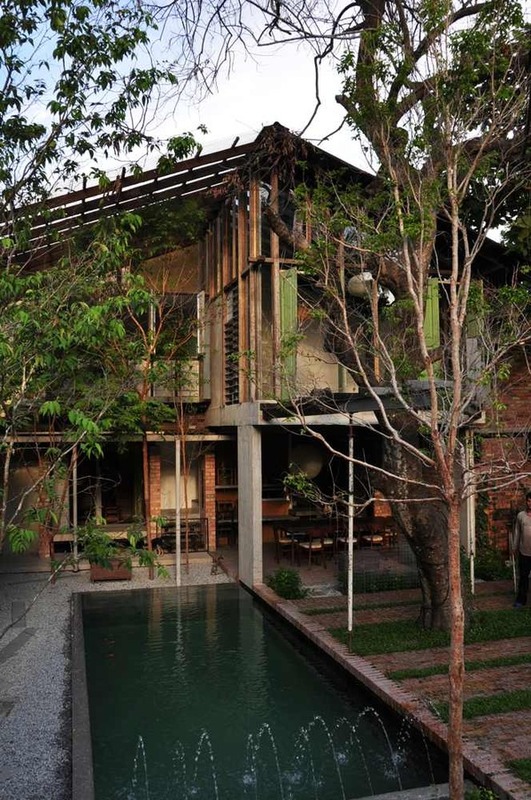 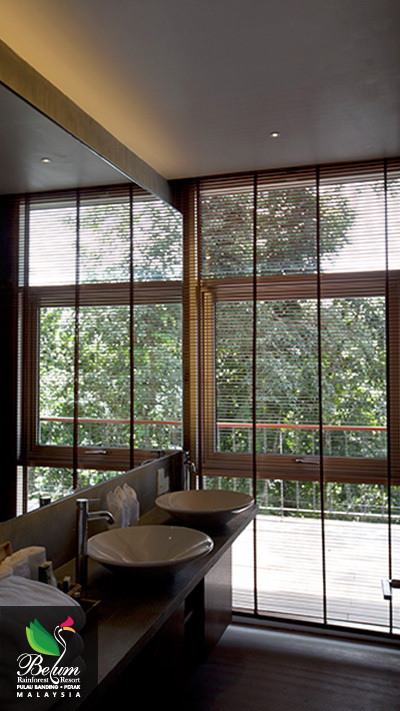 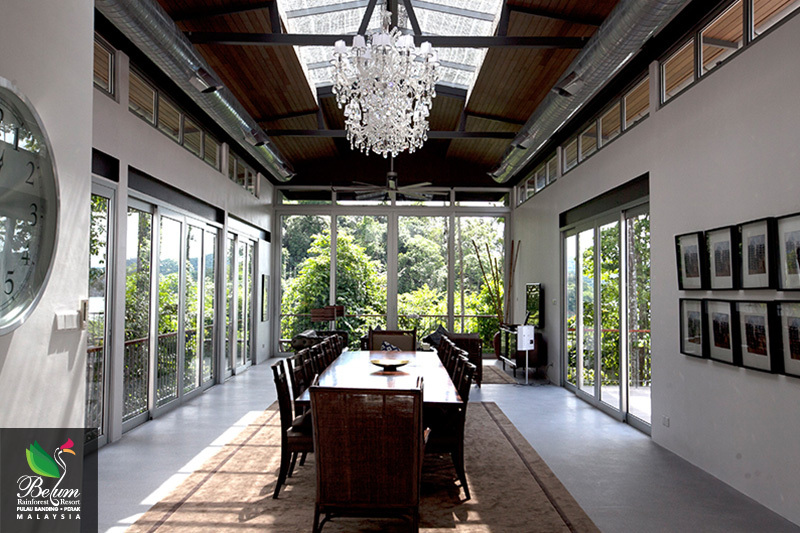 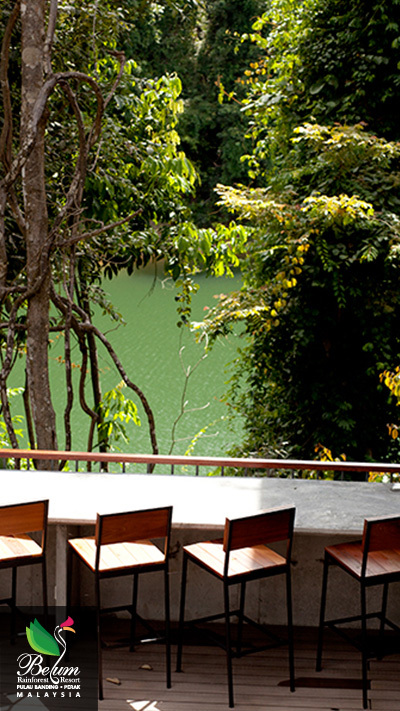 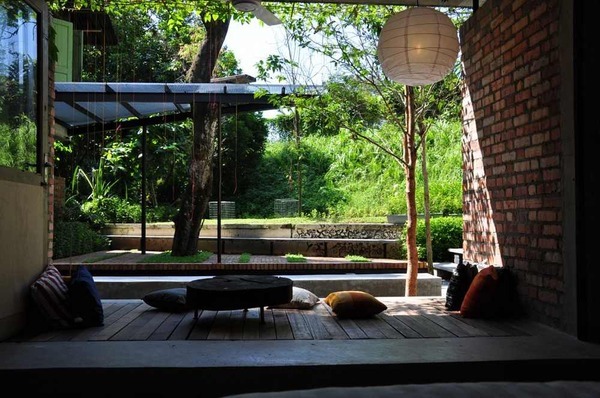 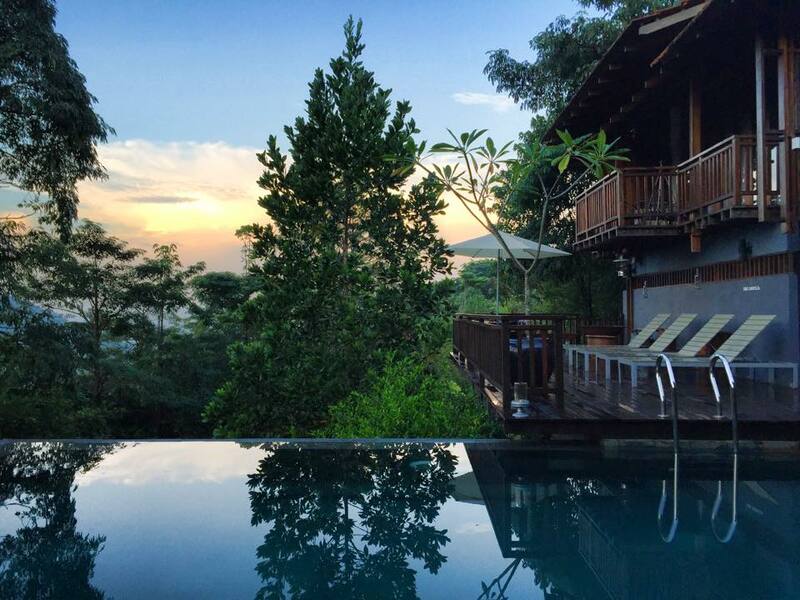 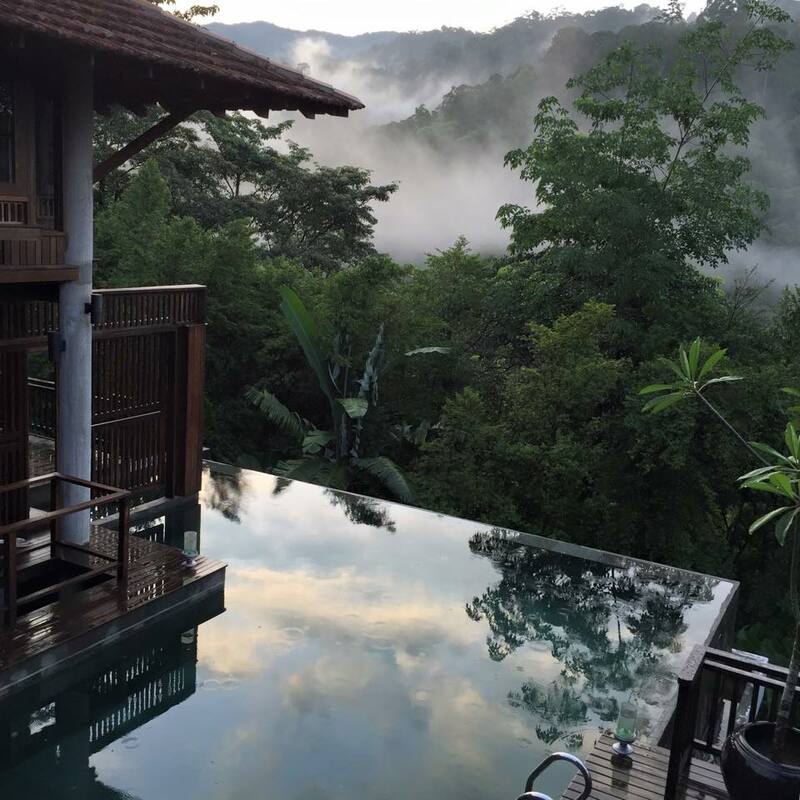 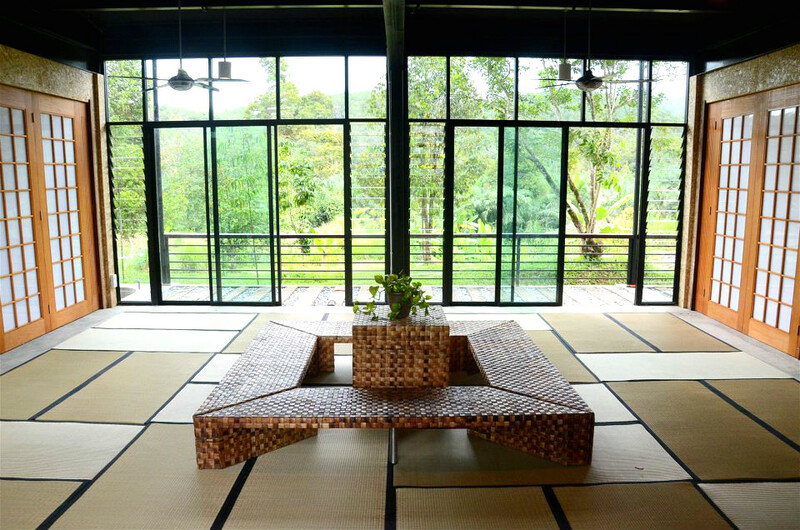 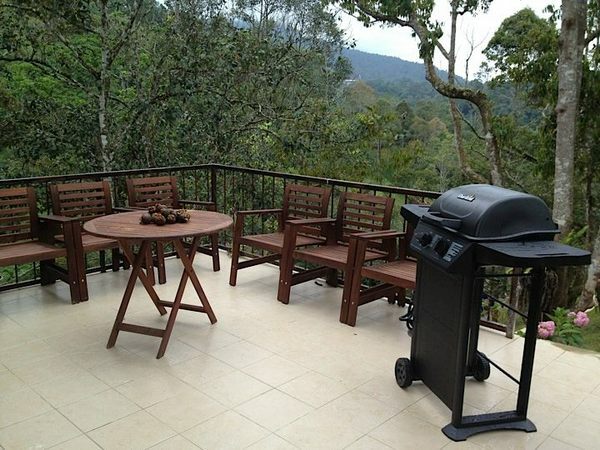 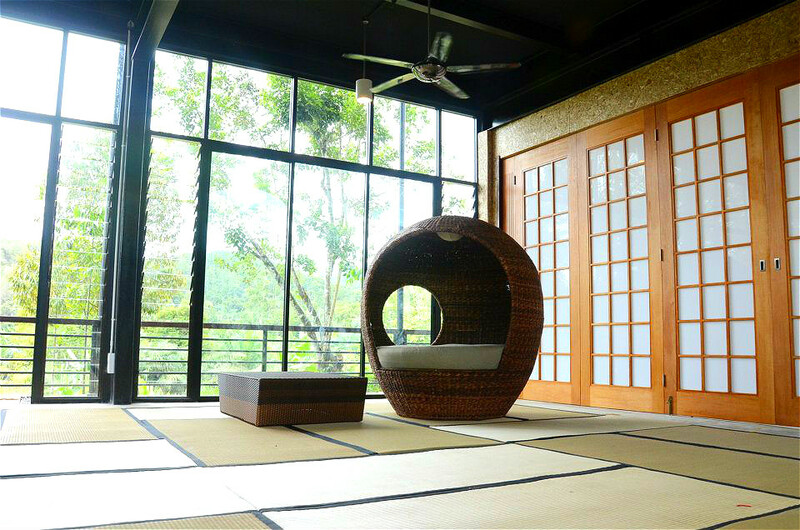 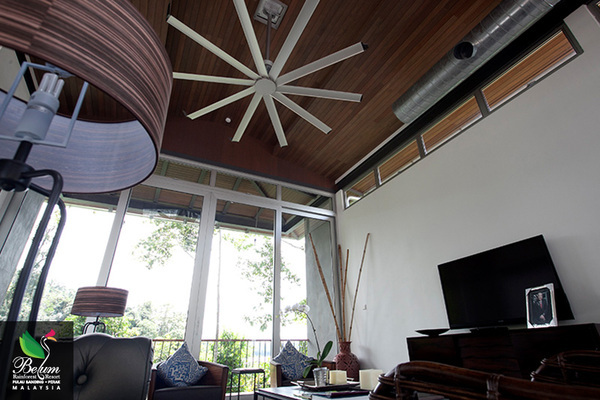 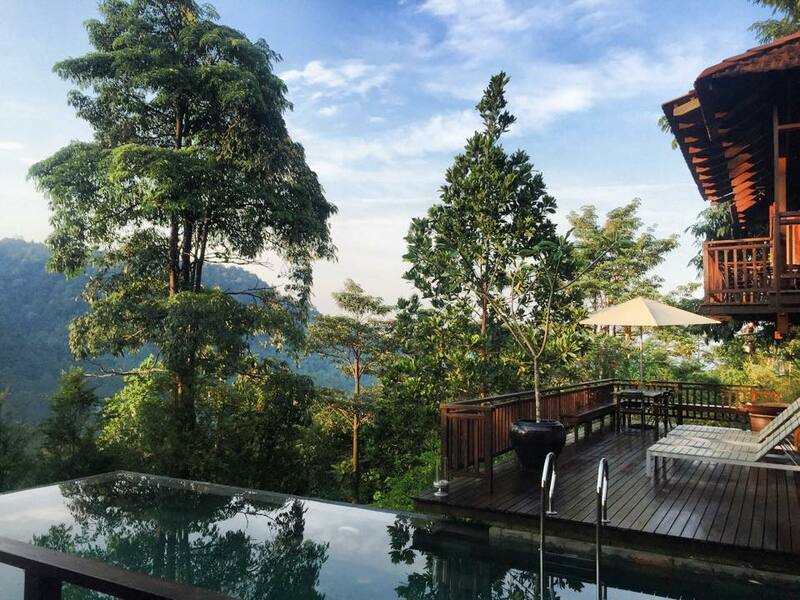 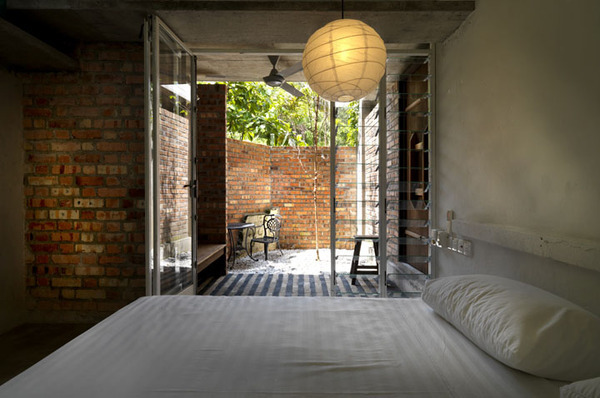 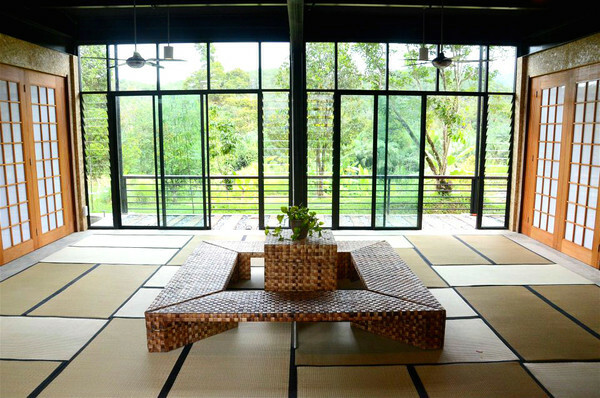 The Shorea is a family getaway for an architect, built in tropical forest reserves in Seremban. 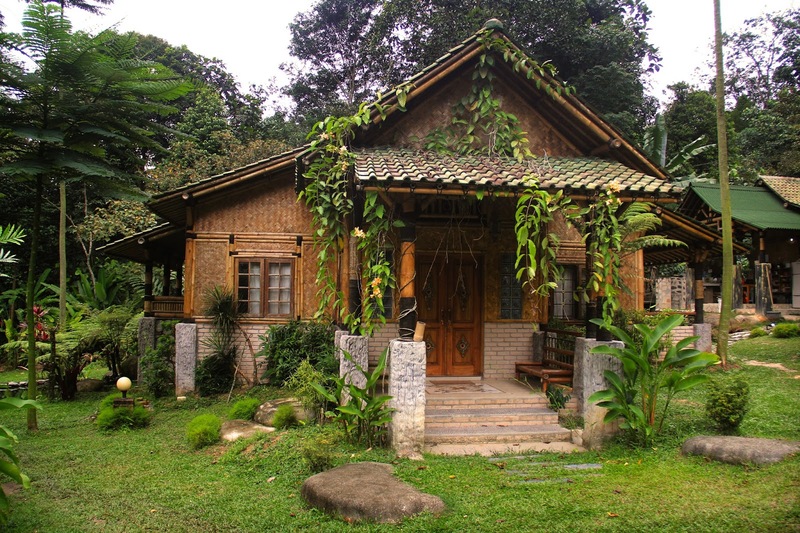 Secluded villa built on natural terrain, with trails that meander towards the woods, accompanied by a waterfall in the forest reserve Berembun. 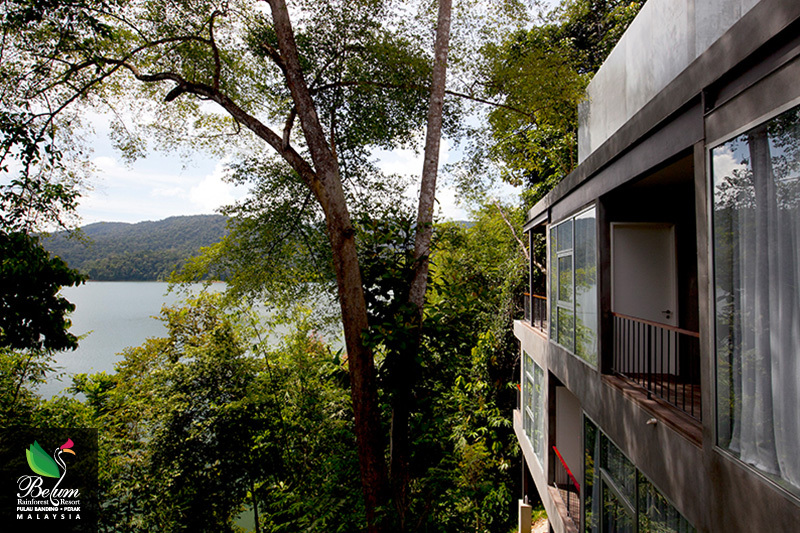 The name 'Shorea' taken from about 196 species of rainforest trees include Balau, chengal, Merangti, Keruing, and others. The resort was built using wood species Shorea from local sources. 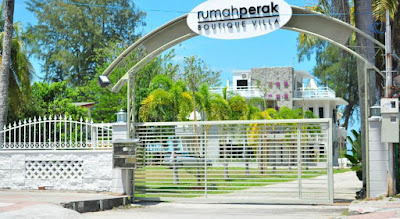 Enjoy De Shahruls bungalow with unique architecture as a bot. 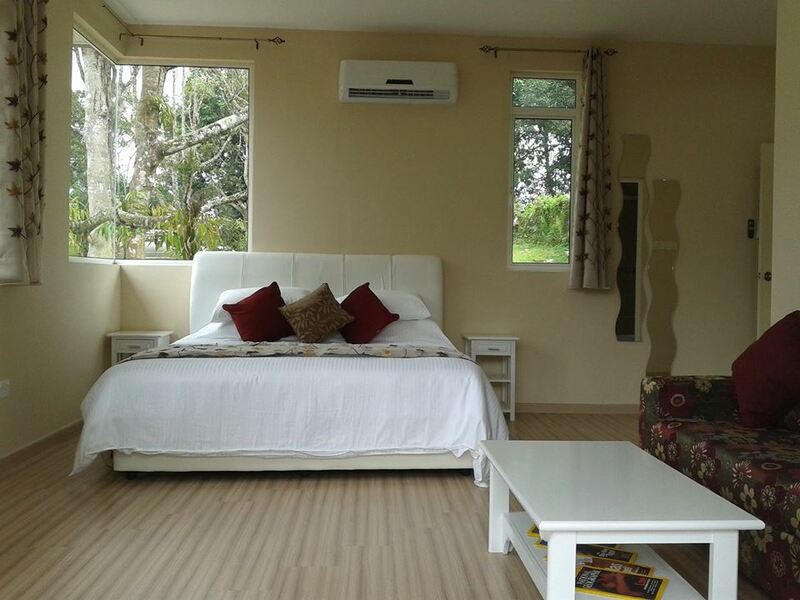 Features 3 bedrooms with kitchen and large living area. 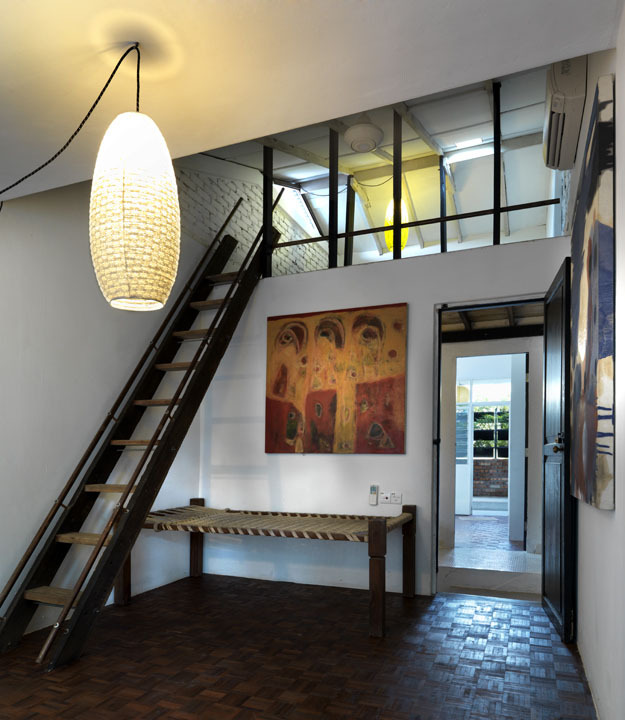 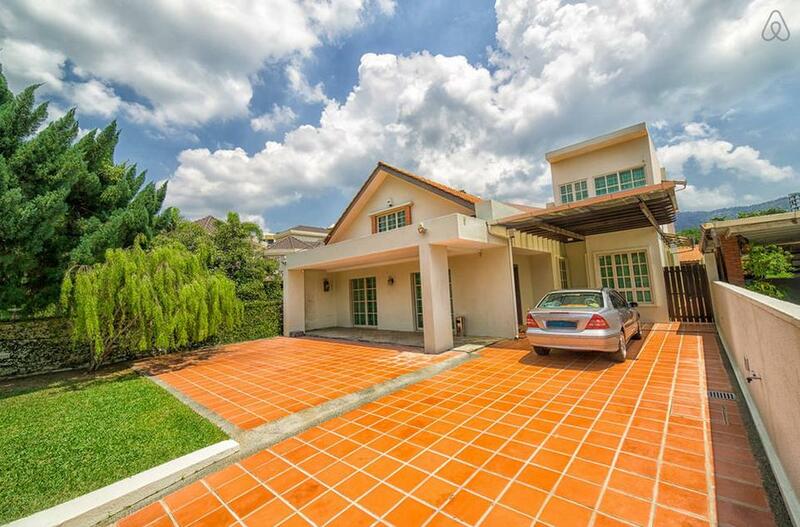 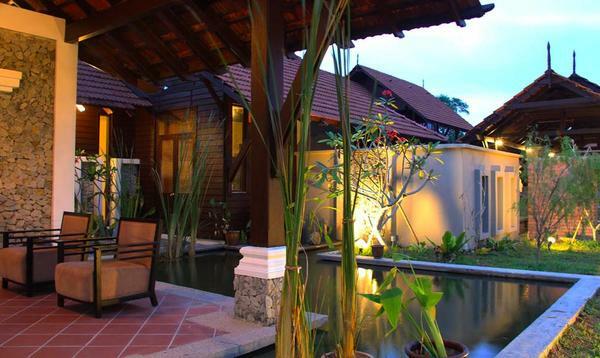 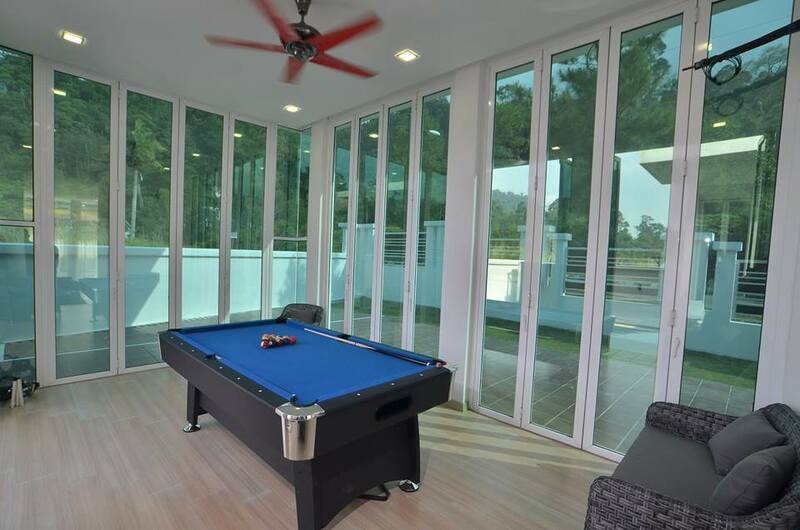 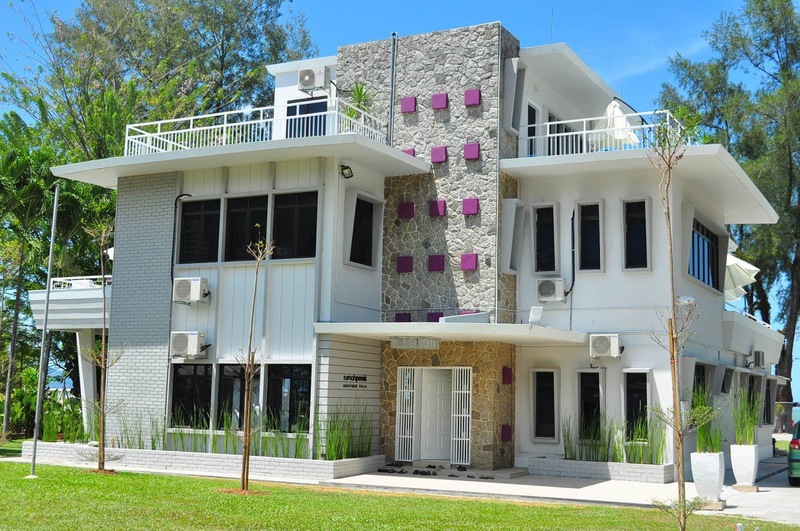 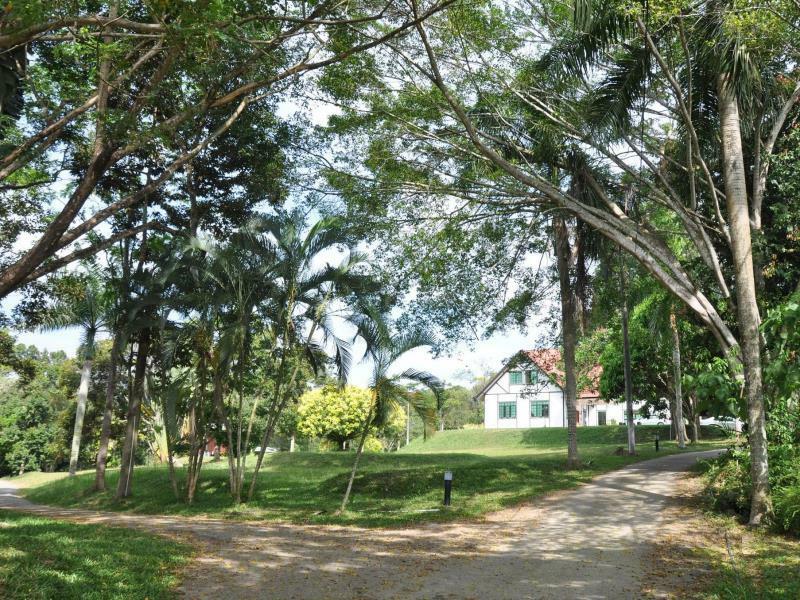 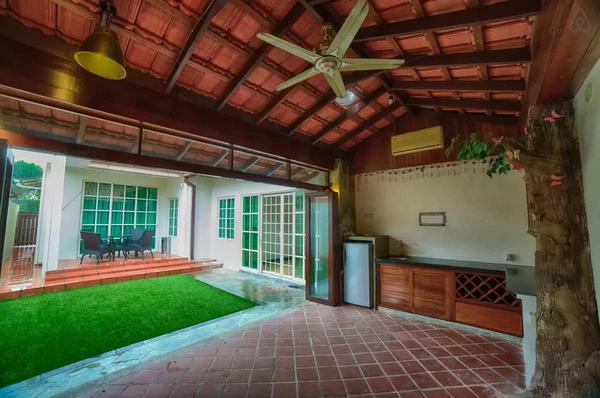 The house is located on 3 acres on a quiet street off the main road that links Port Dickson and Malacca. 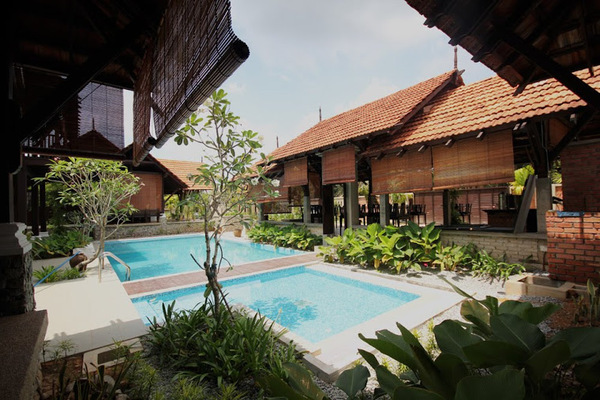 Accompanied by pleasant sea, garden surrounded by lush palm trees and tropical charm, the house 'boat' was able to do a perfect holiday destination for the whole family. 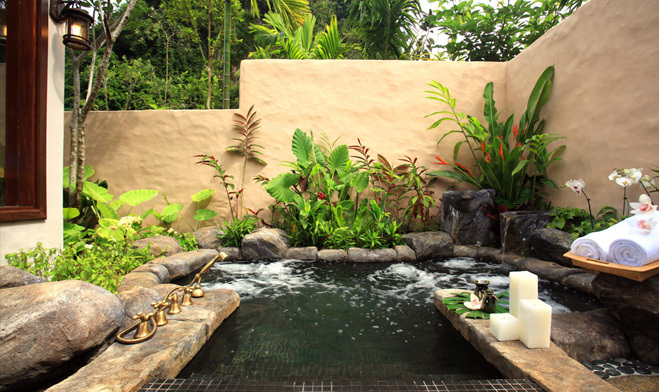 Awarded with a beautiful environment, The Banjaran Hotsprings Retreat is proud to be the first luxury getaway in Malaysia with natural hot springs for health. 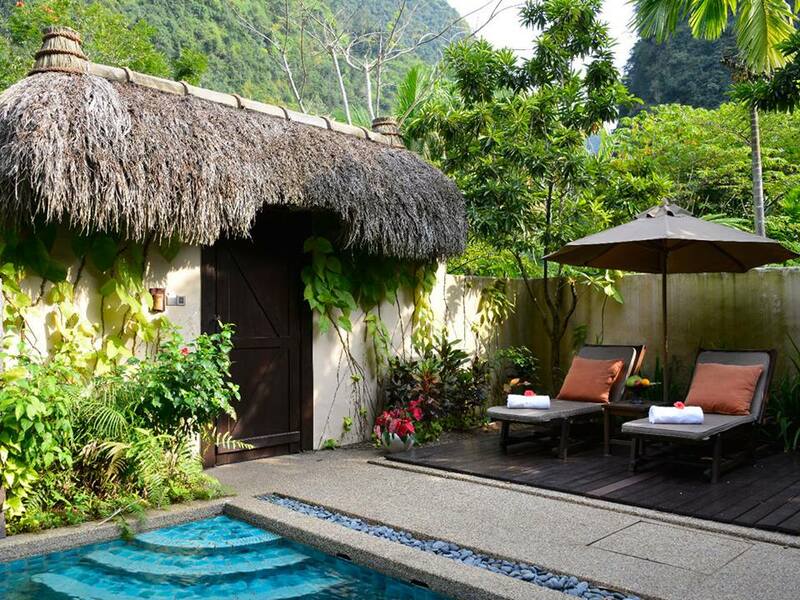 It is designed holistically to absorb the peace and relax, restore well-being of the body, fanning love, mooted the idea of inspiration, and create a differentiated experience that is sure to be unforgettable. 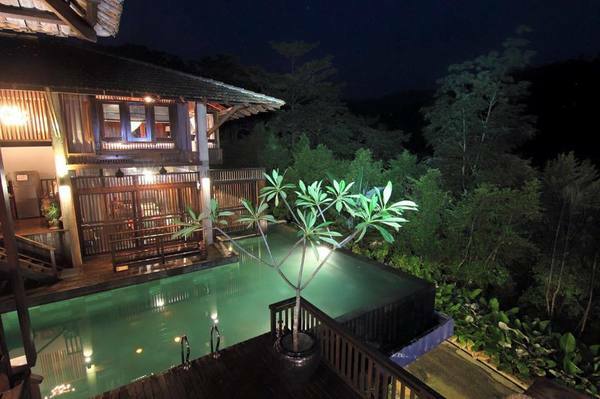 Located in the hamlet of thick tropical forest, Villa Tanjung Wan is a vacation home that implement elements of openness and privacy. 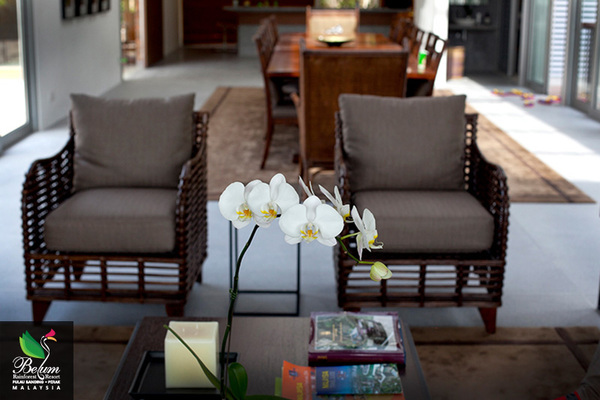 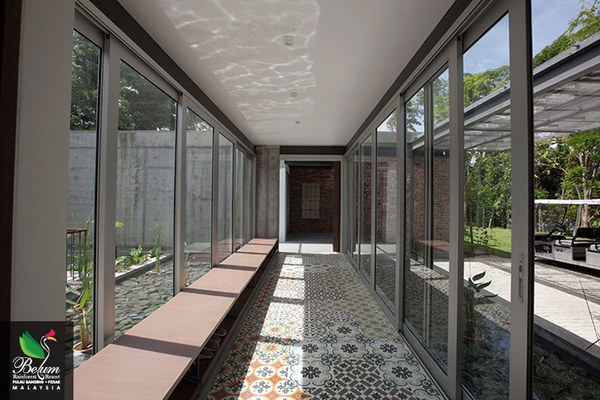 The house is designed with an open concept for a taste of the tropical atmosphere outside the house, but at the same time still maintaining privacy and security. 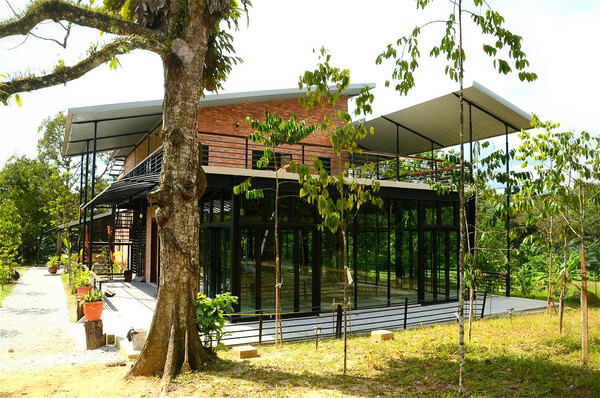 It uses natural ventilation forest, but needs air conditioning when closed. 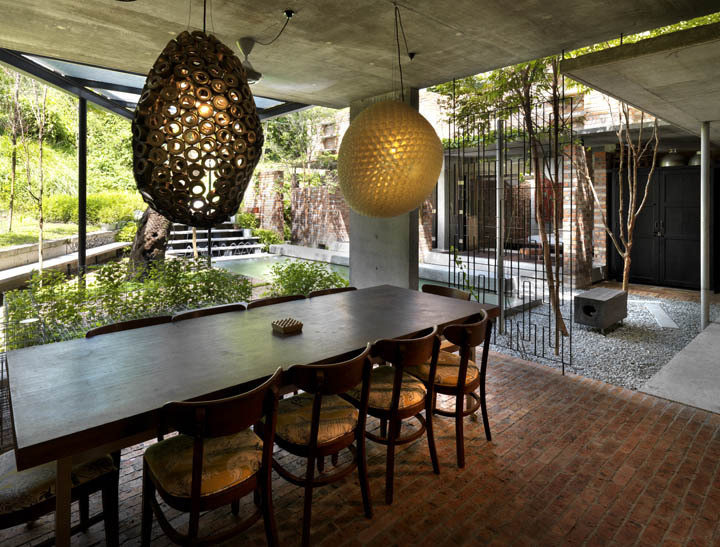 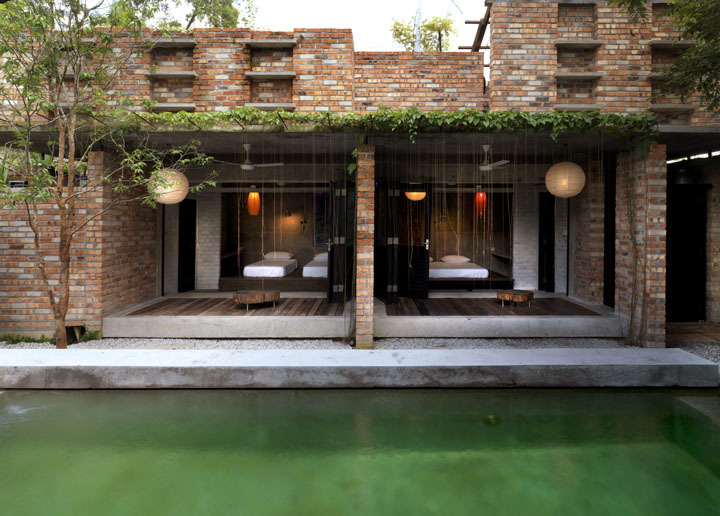 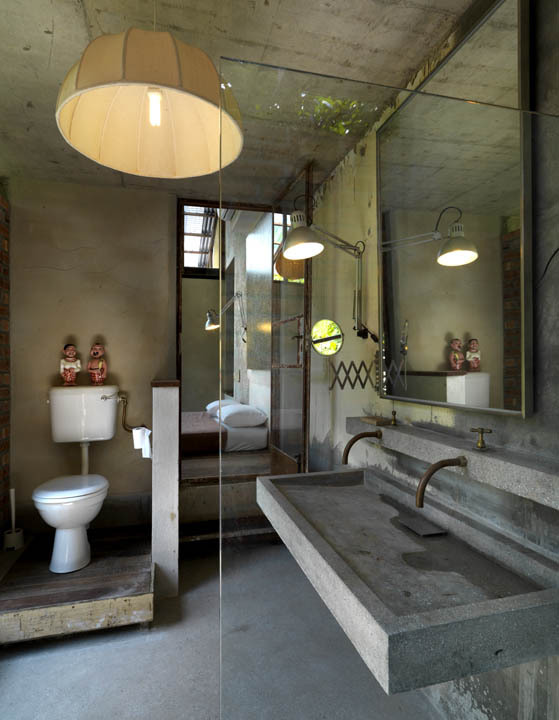 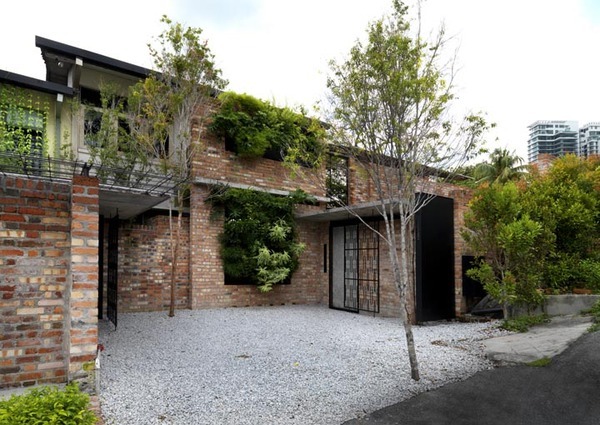 Relaxed and informal concept reflects the contemporary asia traditional, modern, and fresh. Sekeping Tenggiri is located in Bangsar, Kuala Lumpur. 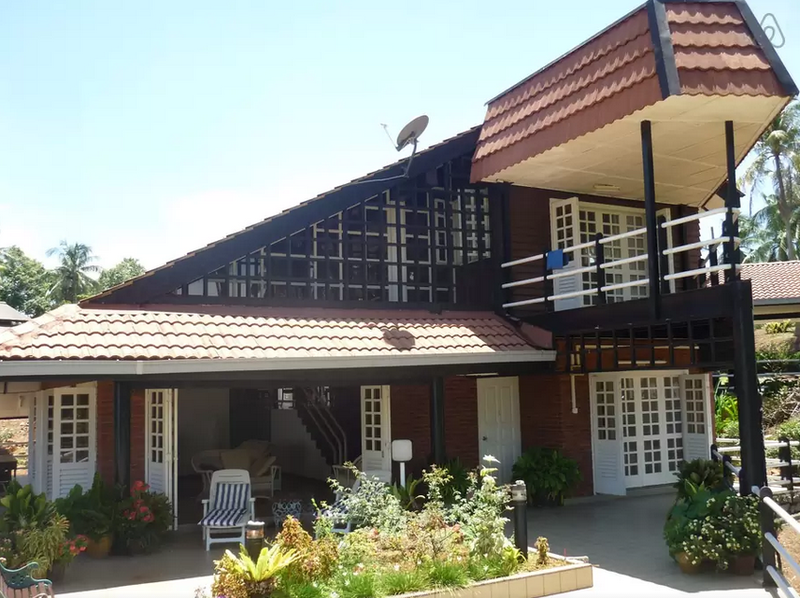 If it is seen in the picture, quite unbelievable that a seven-bedroom of bungalows is perfectly situated in the city center. 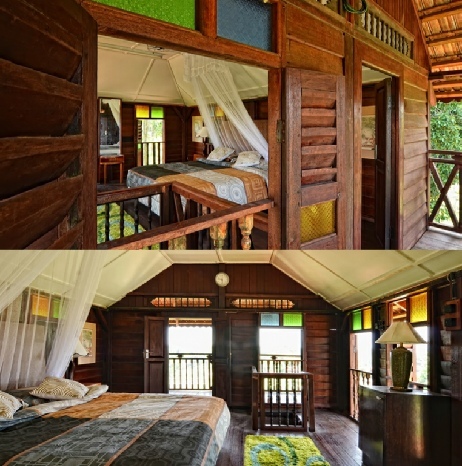 Offers a concept of bungalows in the jungle, Sekeping Tenggiri in being able to fascinate anyone who visits here. 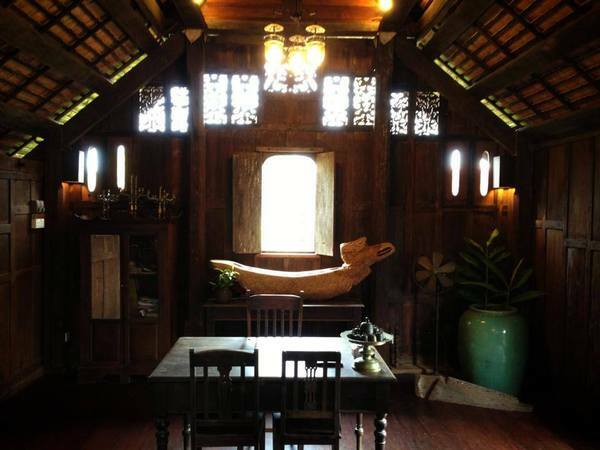 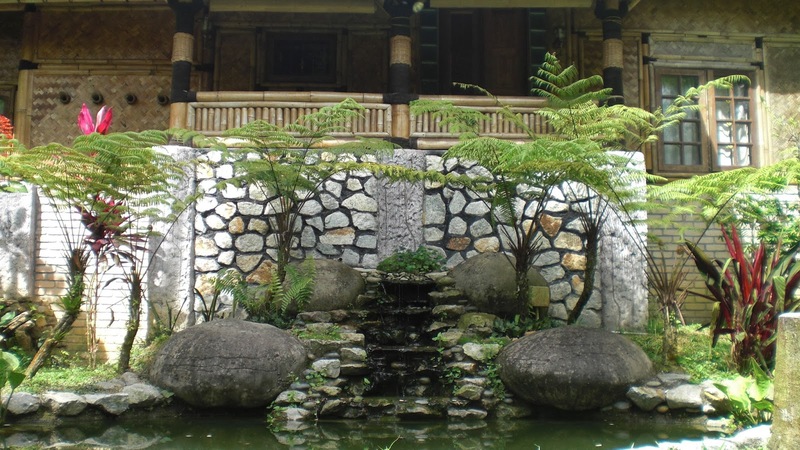 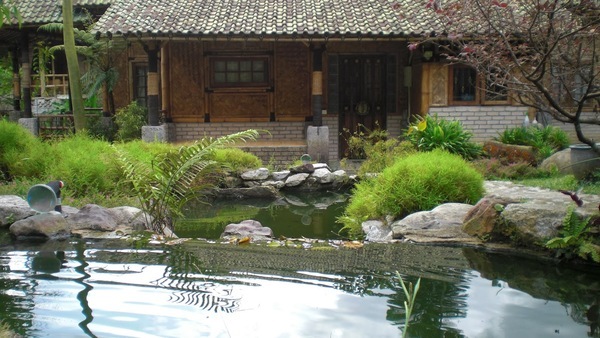 Themed house made of bamboo, Bamboo Village is absolutely favored destination for residents of the city to explore nature, located just 45 minutes from the city. 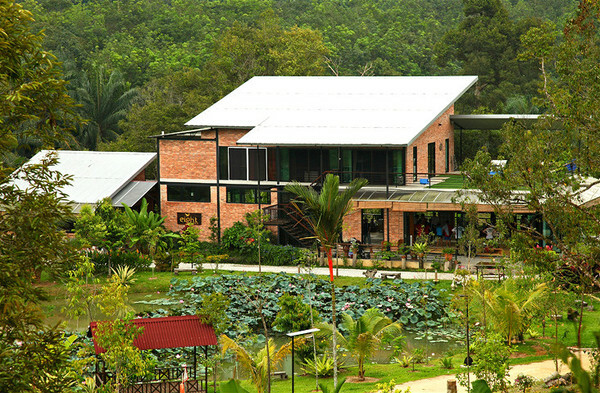 The concept of urban forest in effect makes it unique, as well as attract bacpackers for an overnight stay. Dream World Resort is a vacation spot in the middle of the cloud. 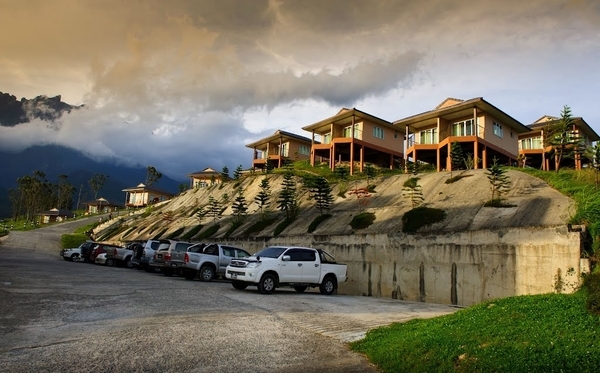 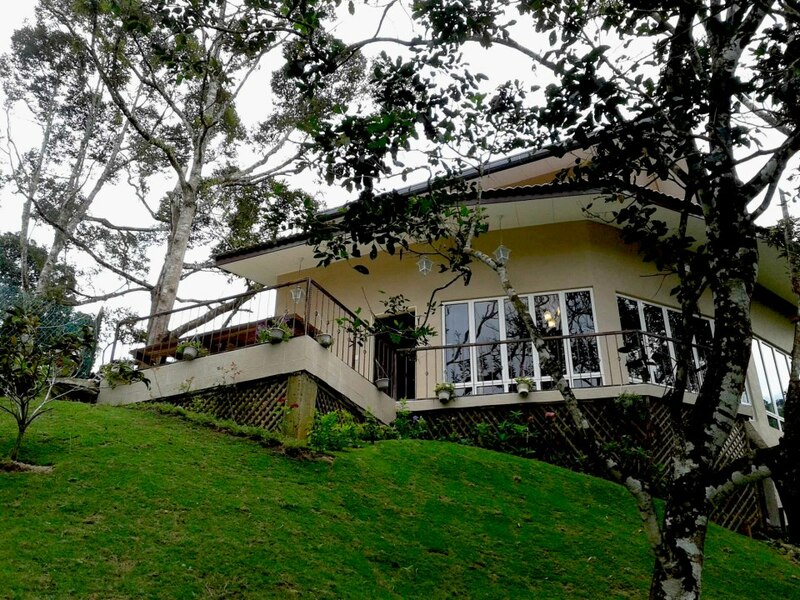 Built on a hilltop property with views of Mount Kinabalu is very impressive, panoramic views of Kundasang which is often covered by clouds foggy, making it seem a paradise on earth. 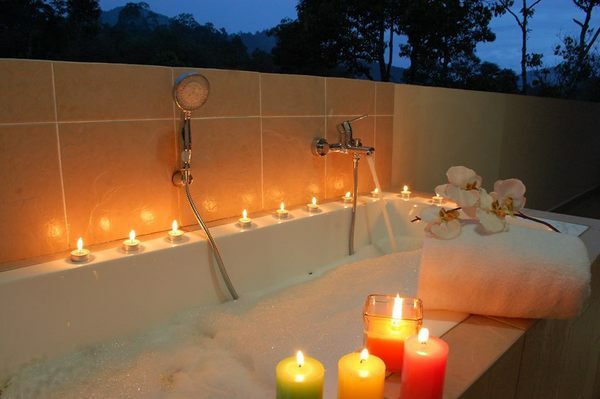 Great useful information! 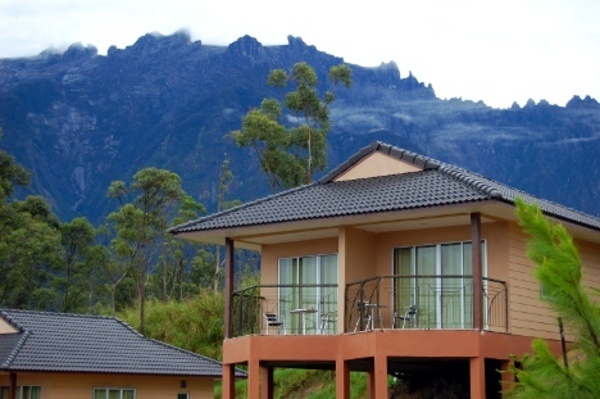 For everyone who need to know about price of Kuala Lumpur LCCT Airport to city service, please contact with GoAsiaDayTrip - the most trusted airport transfer and day tour company in Southeast Asia. Found your blog. 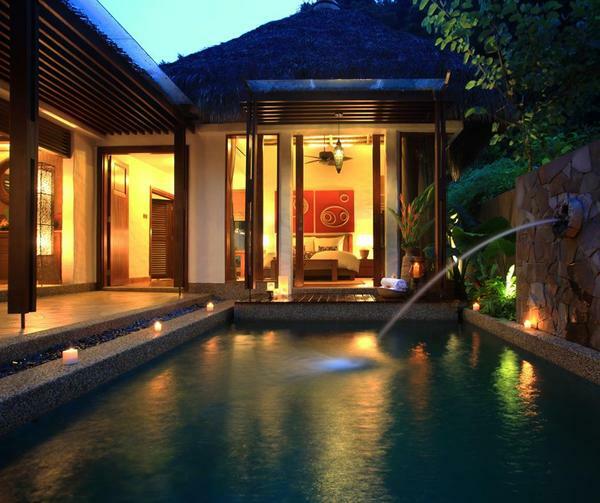 Its really nice on luxury villa rental. I appreciate your article. 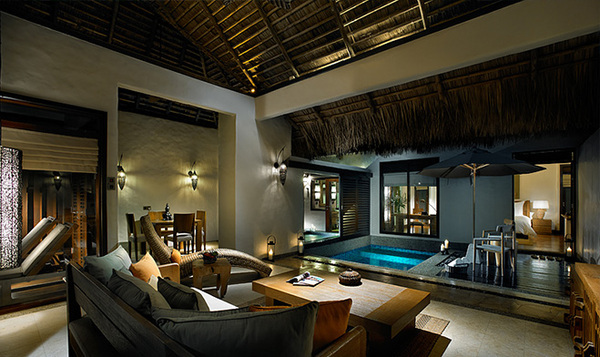 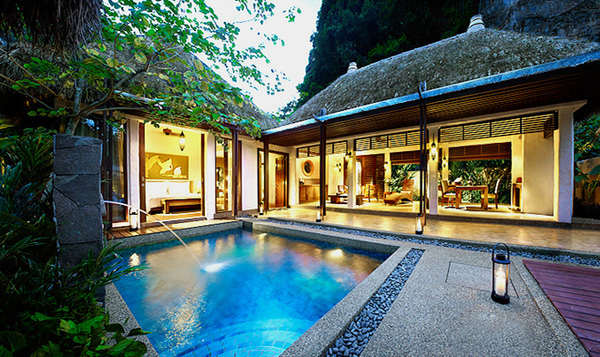 Its important to get information on luxury villa rentals. 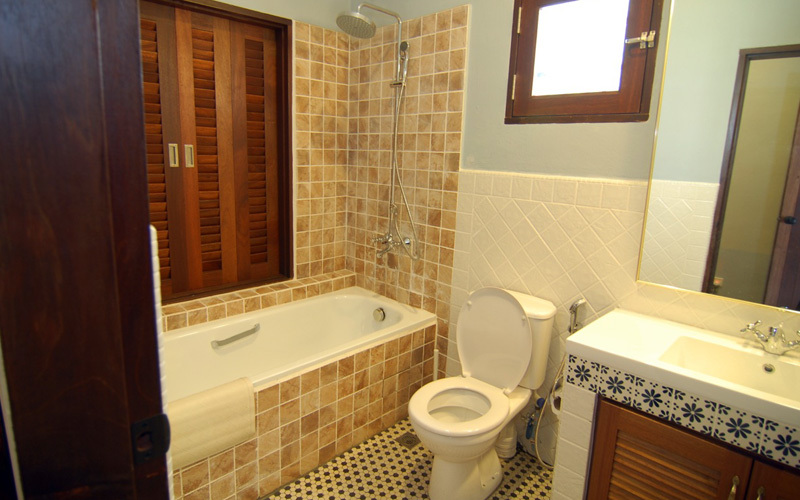 So thanks for sharing all that important information.